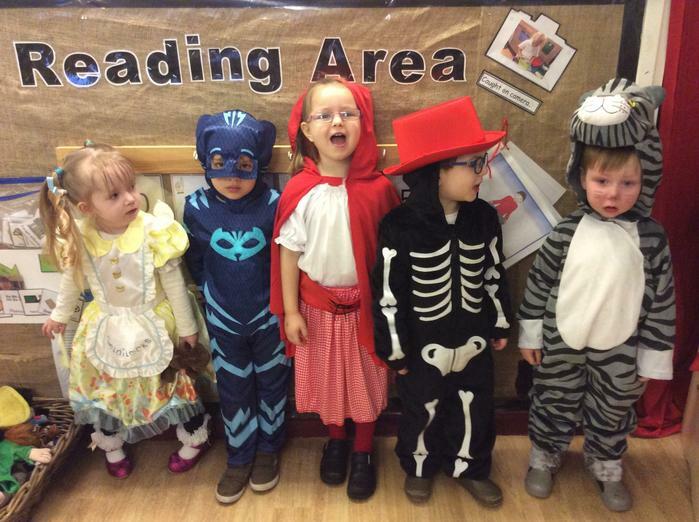 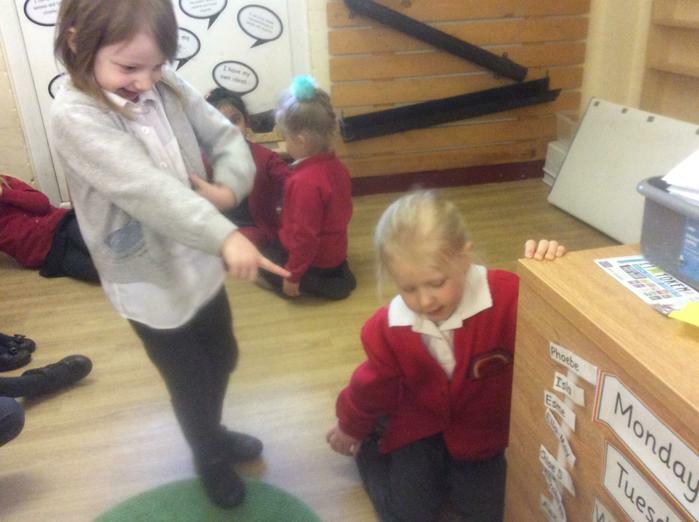 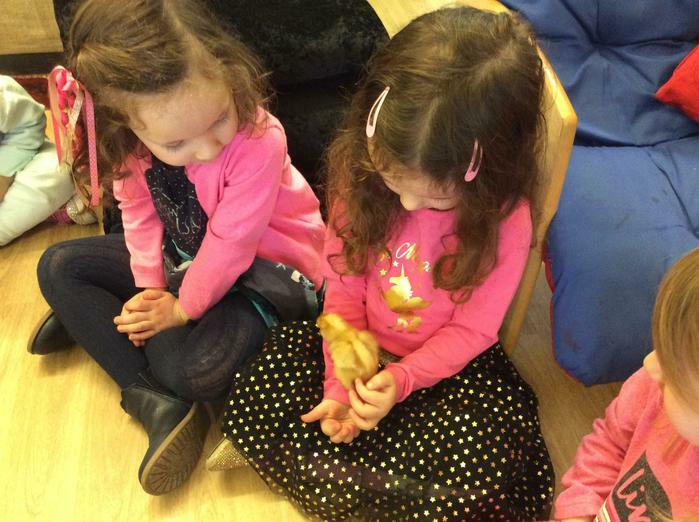 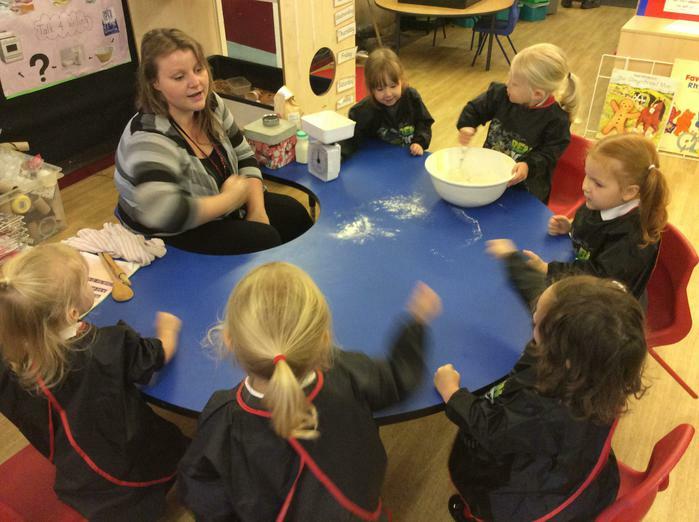 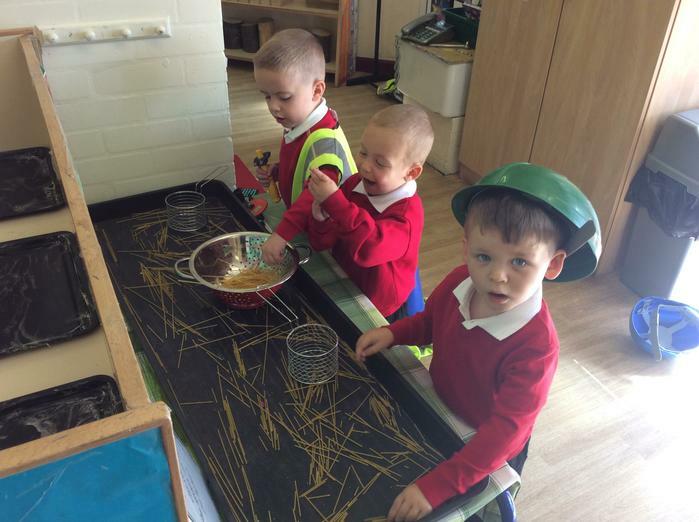 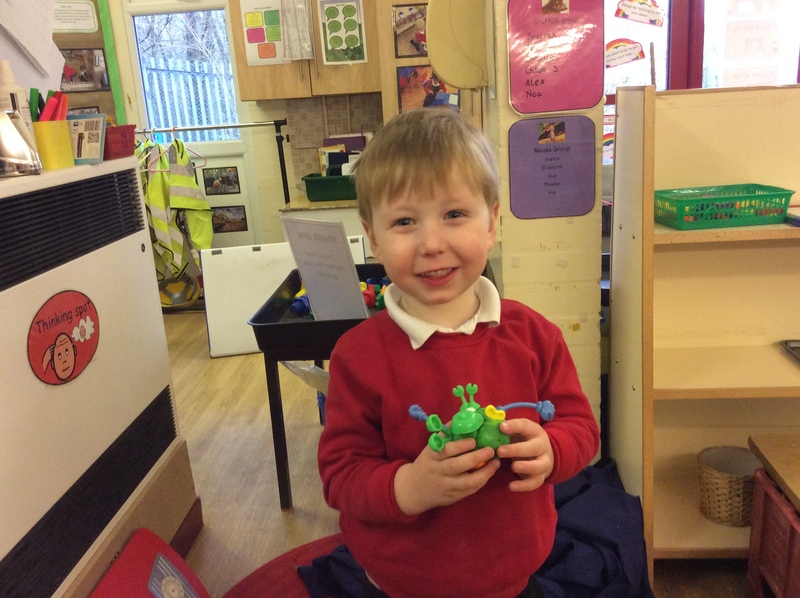 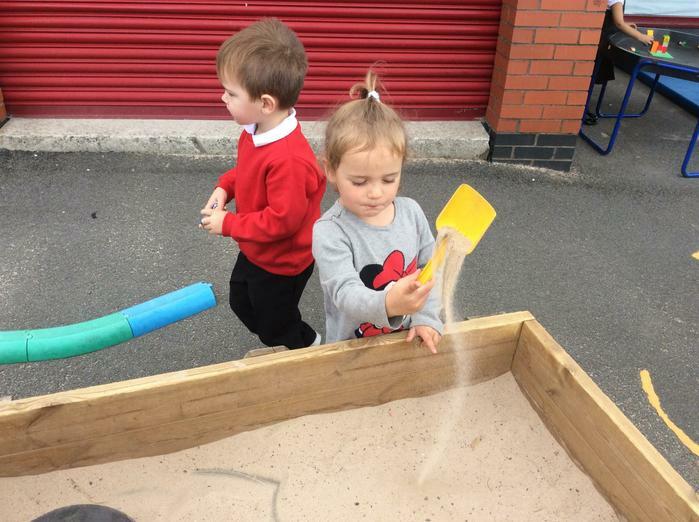 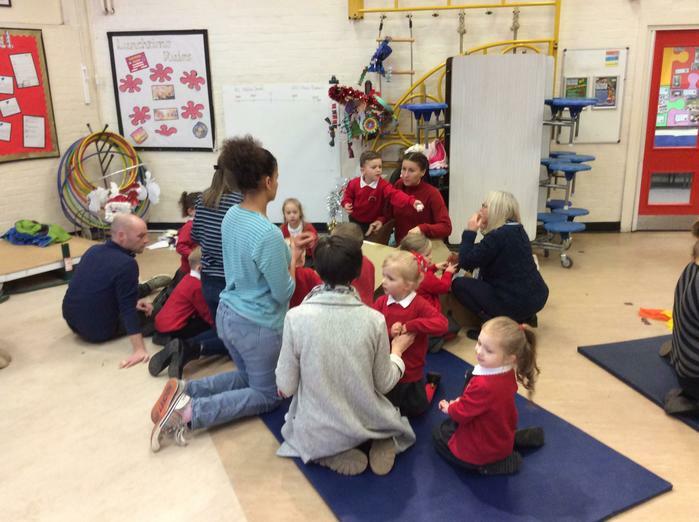 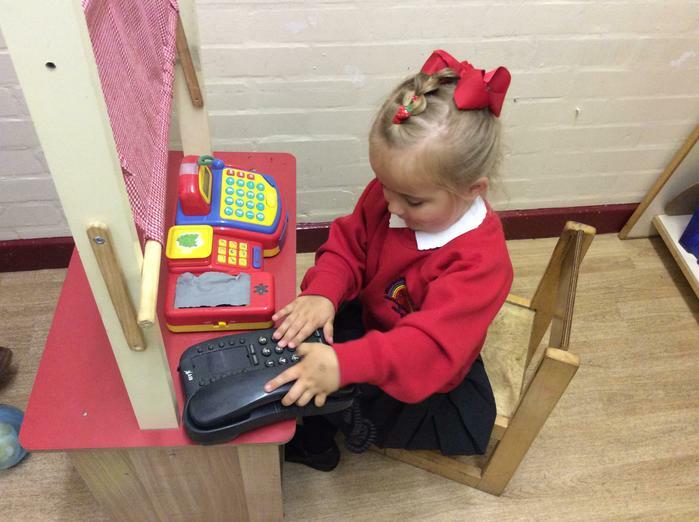 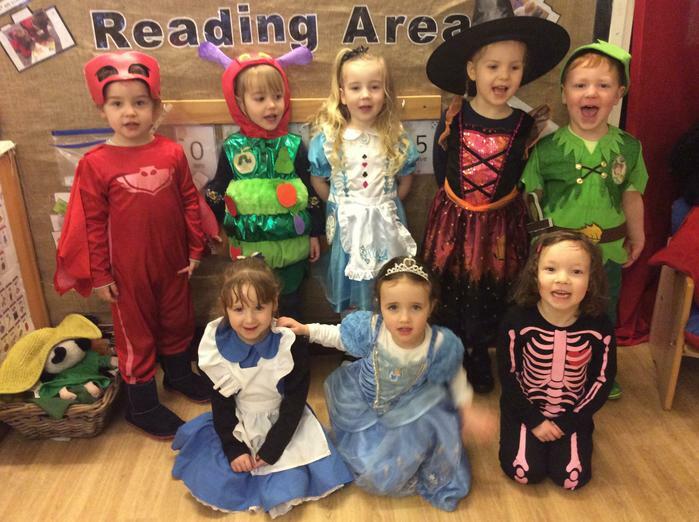 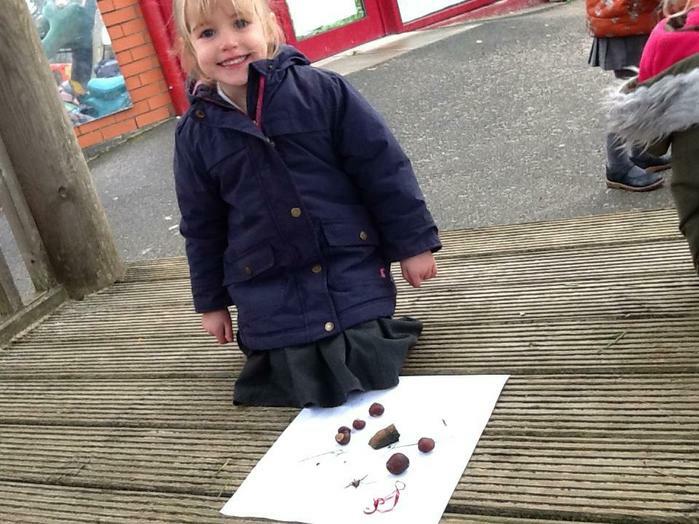 In the Early Years Foundation Stage, Communication and Language is broken down into three areas. 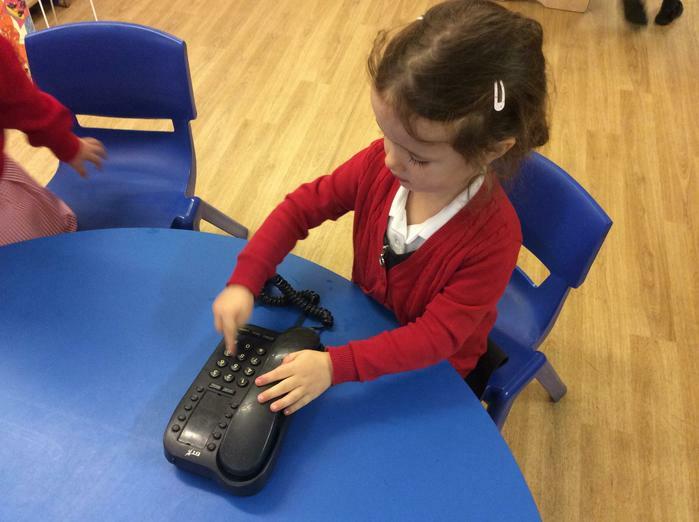 Communication is at the heart of human interaction and we want to promote conversation both inside and outside the classroom. 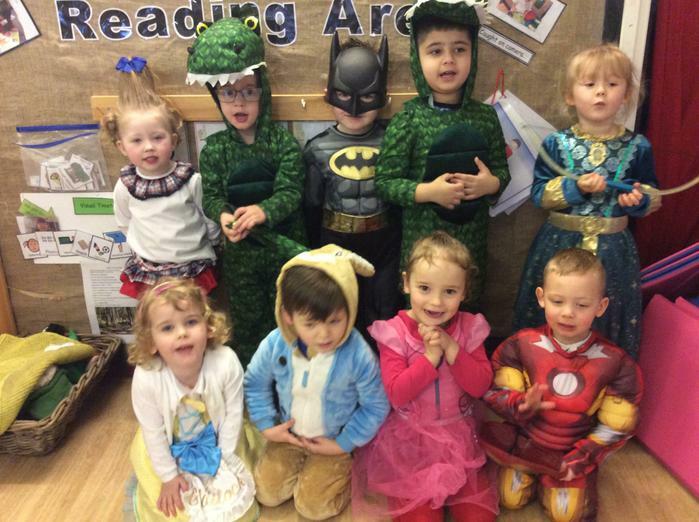 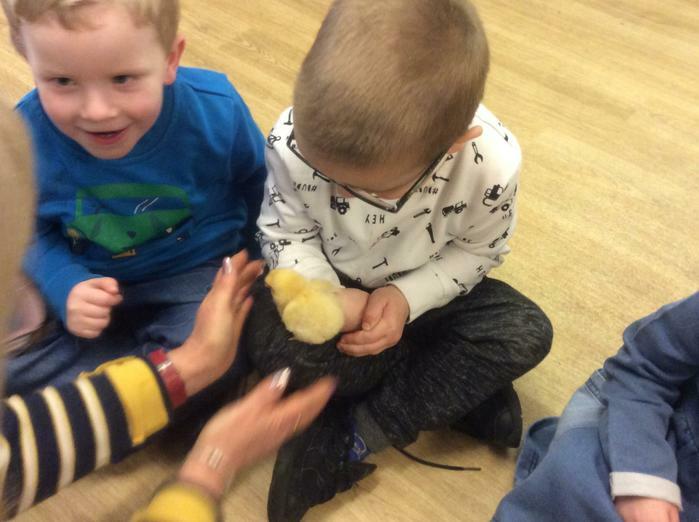 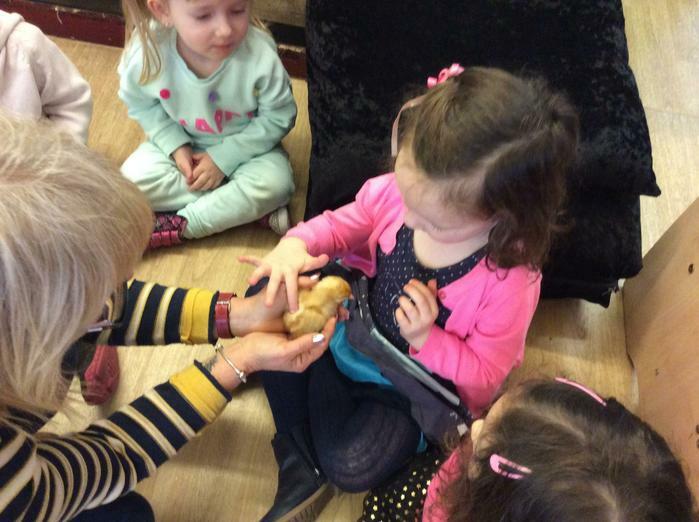 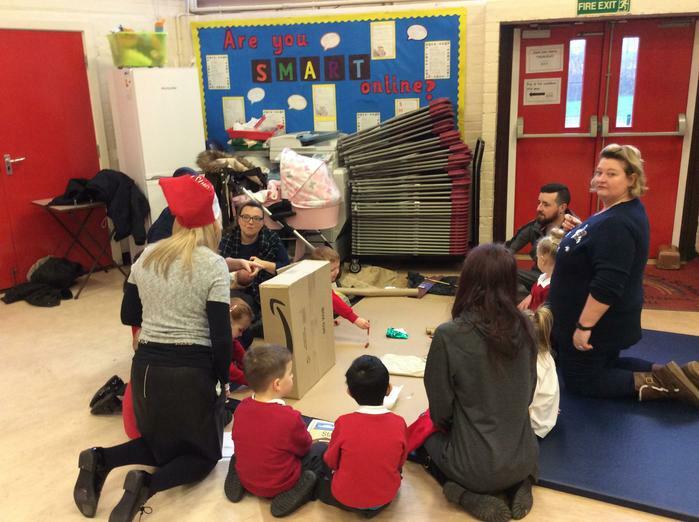 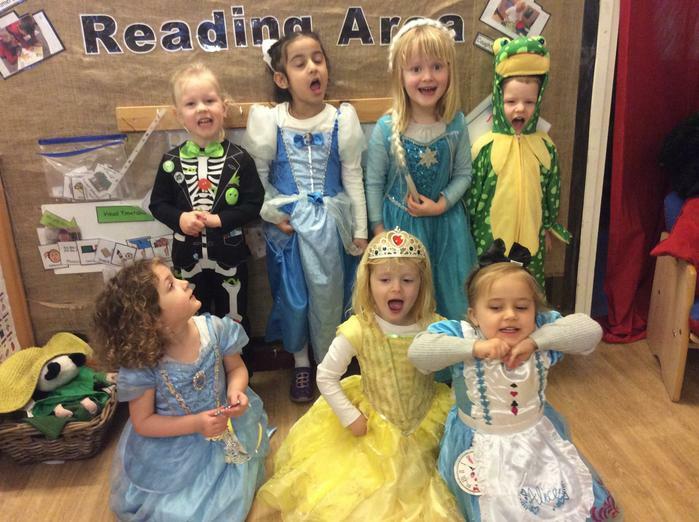 We want to give your child the tools they need to become good listeners, join in, anticipate events, build receptive and expressive language, express their ideas and begin using more complex sentences. 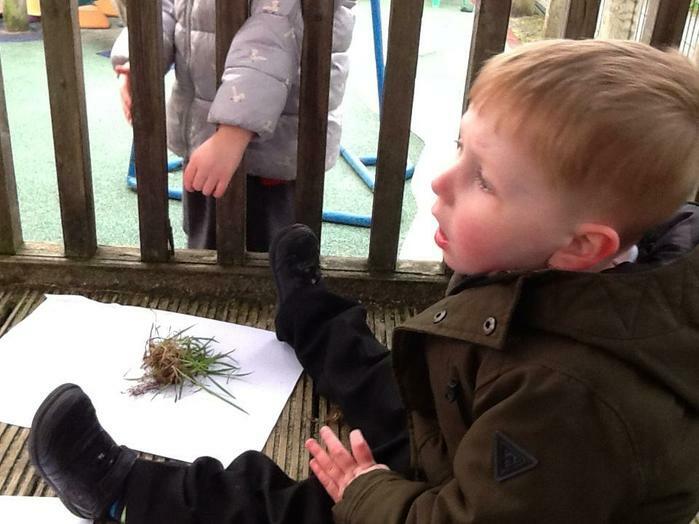 Start by looking at and talking about the pictures below with your child.....you'll be surprised at what they know!!! 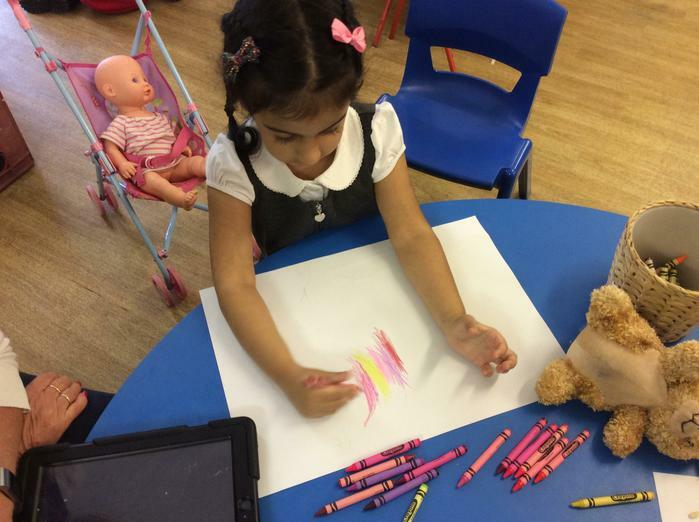 Philosophy 4 children is an approach to learning and teaching. 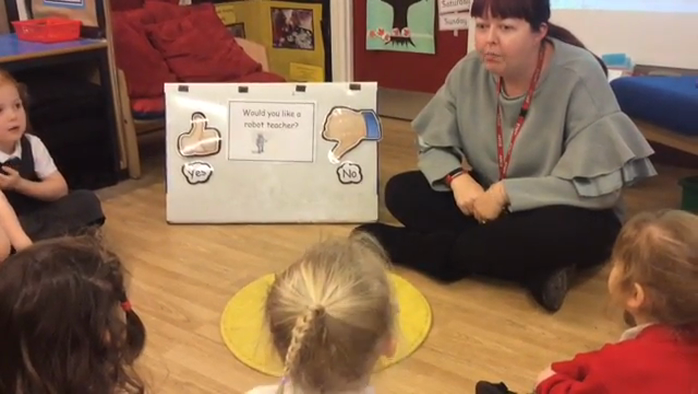 Children are taught how to create their own philosophical questions. 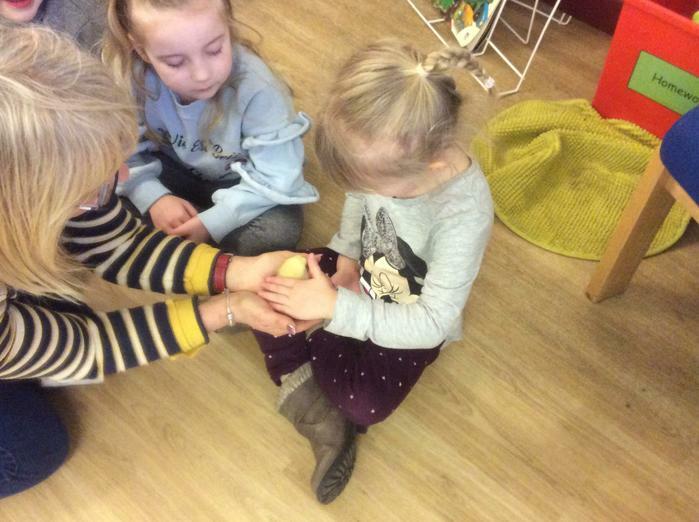 The teacher, as facilitator supports the children on their thinking, reasoning and questioning, as well as the way children speak and listen to each other in the dialogue. 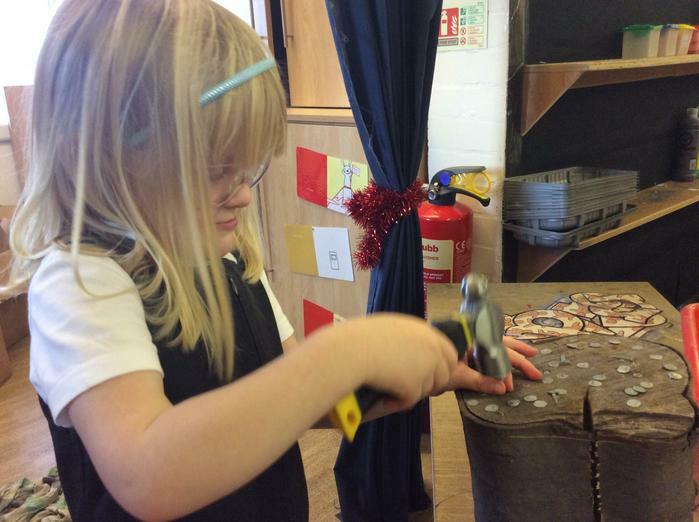 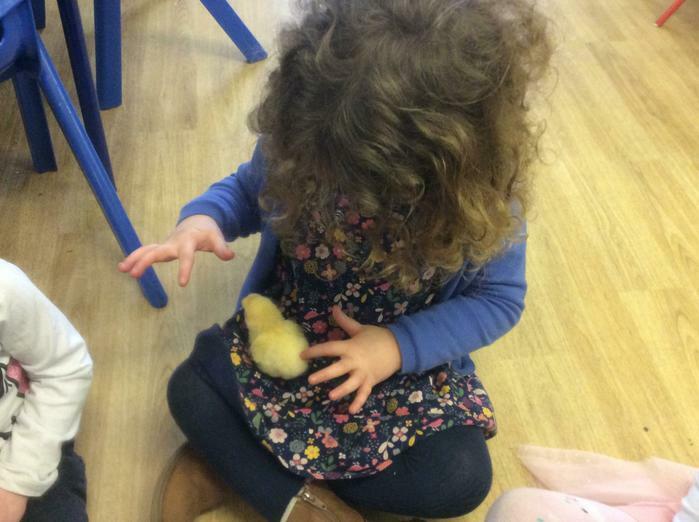 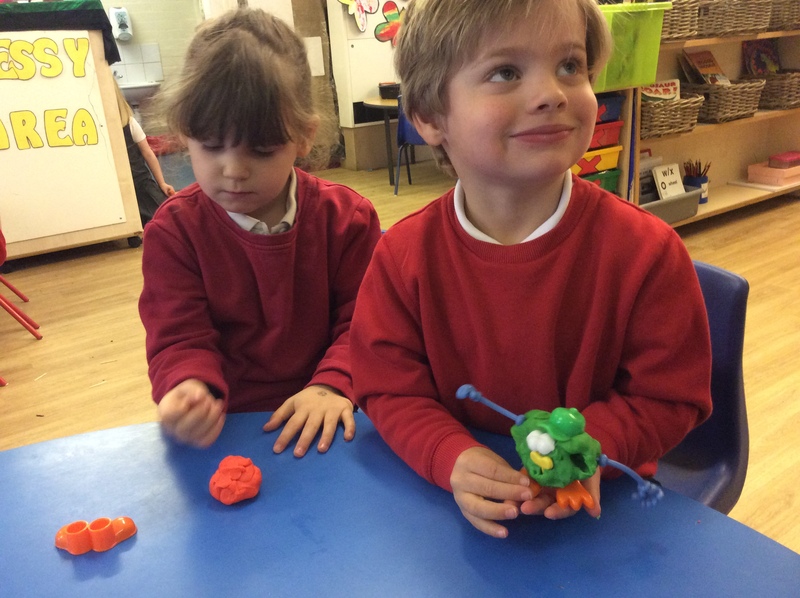 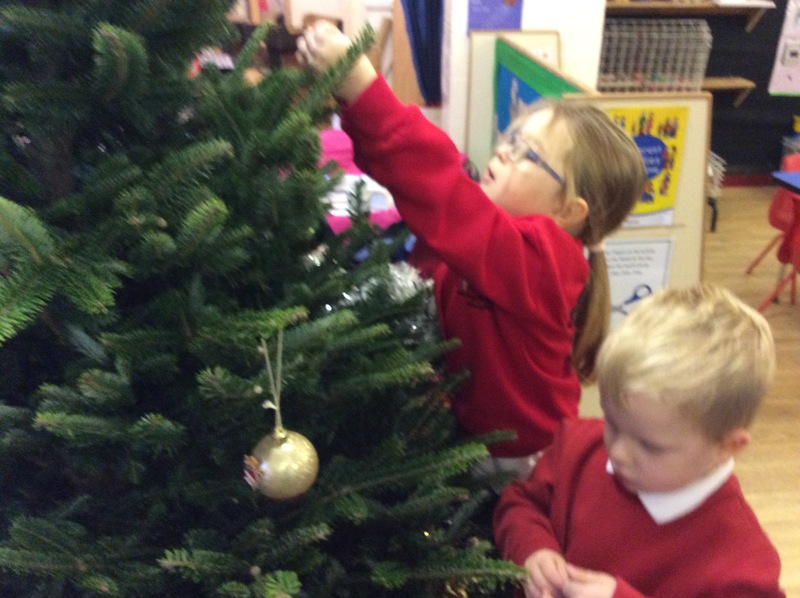 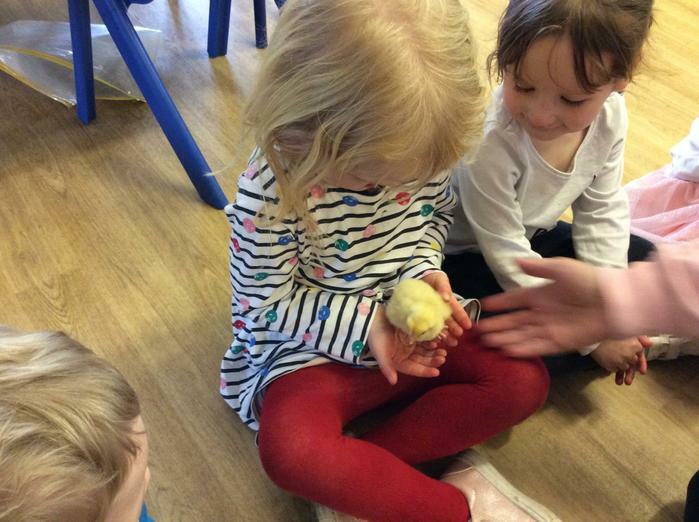 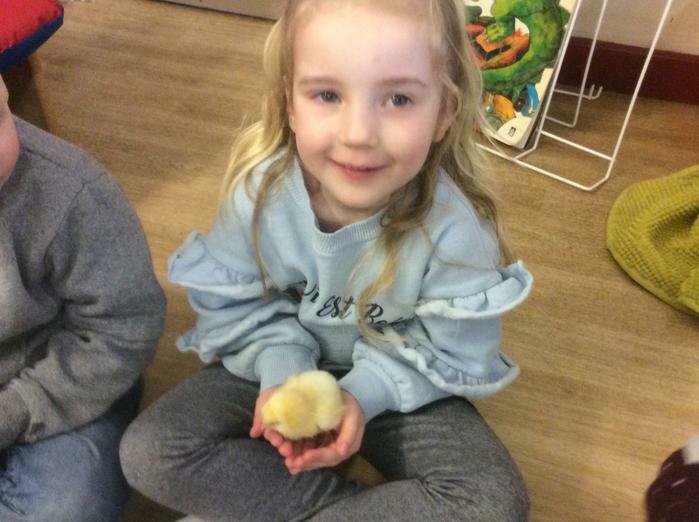 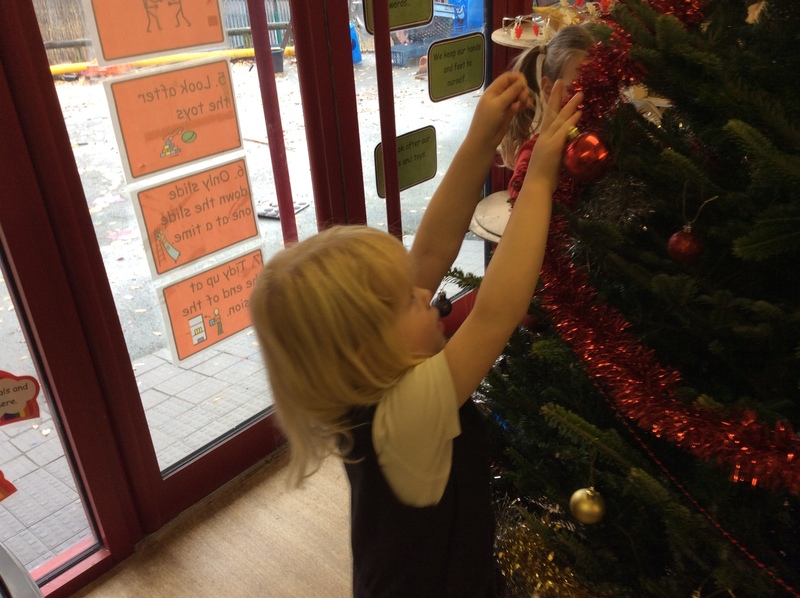 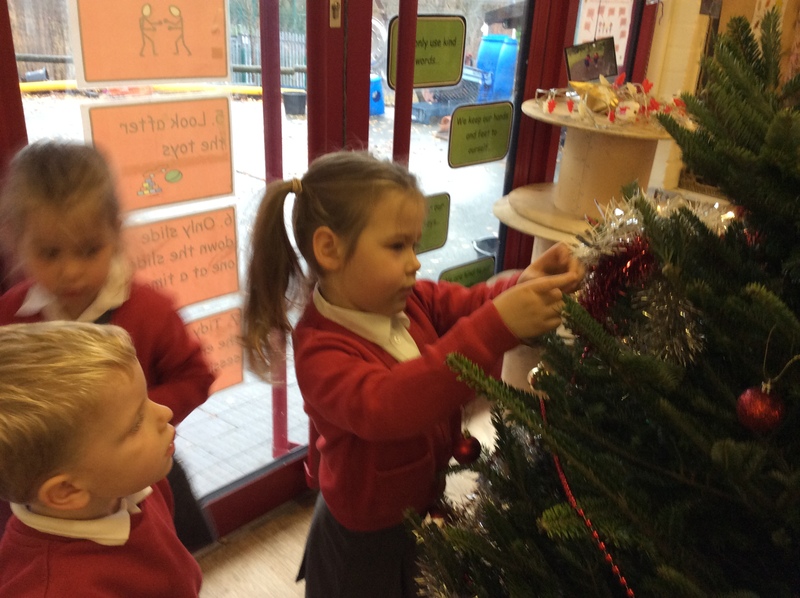 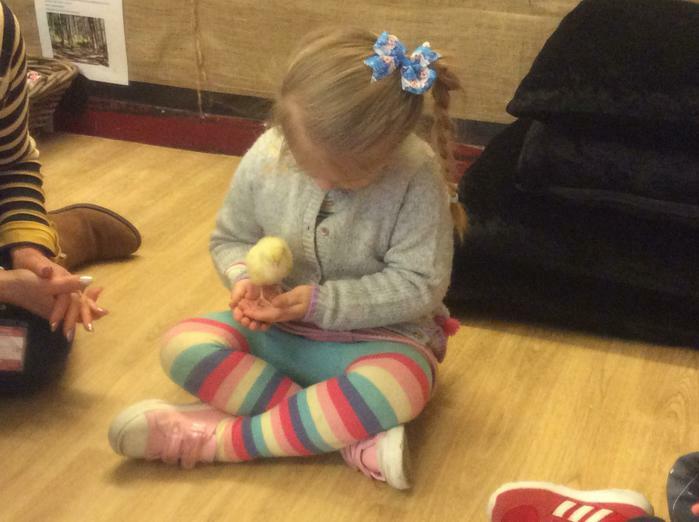 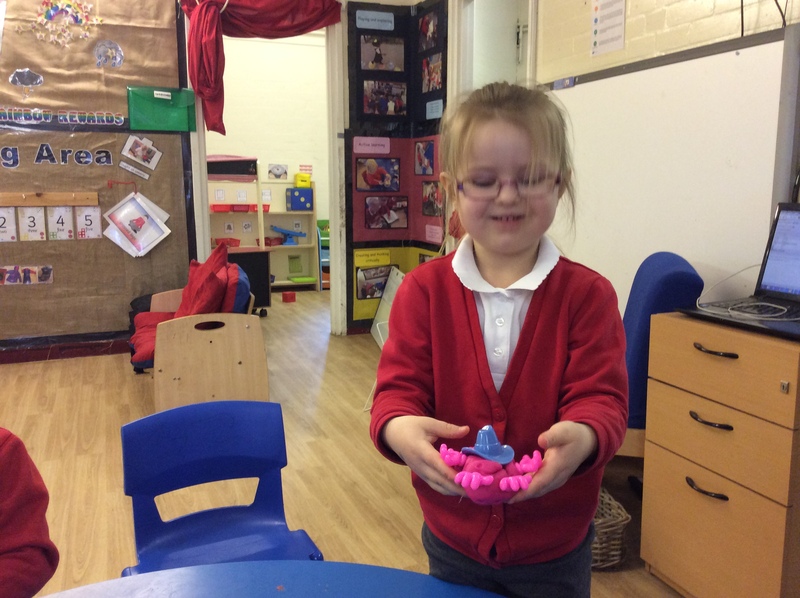 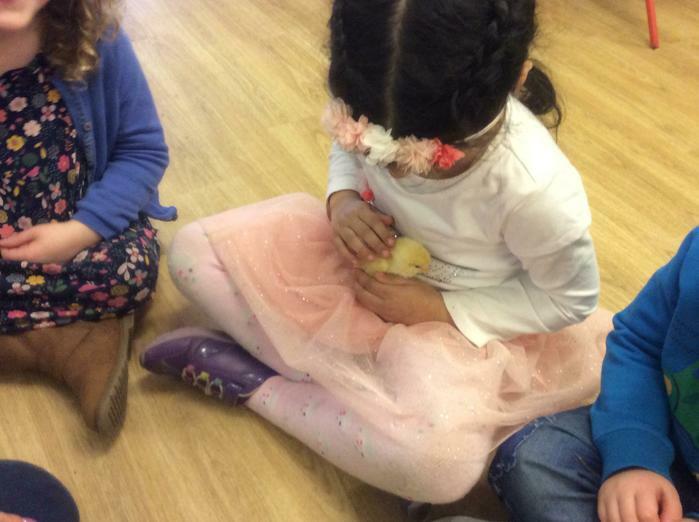 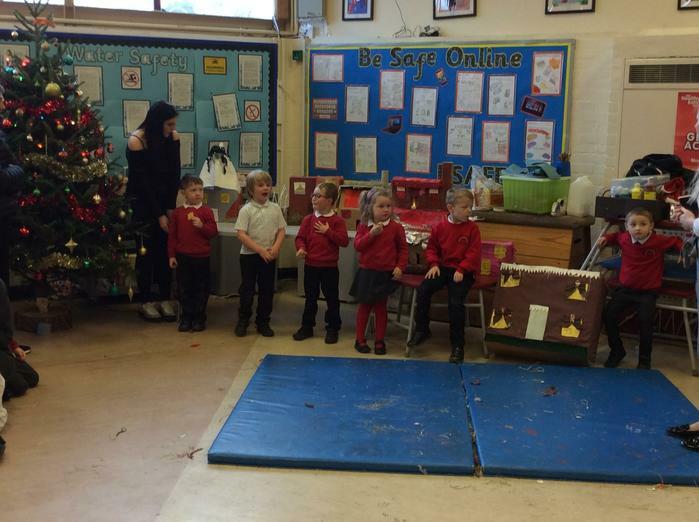 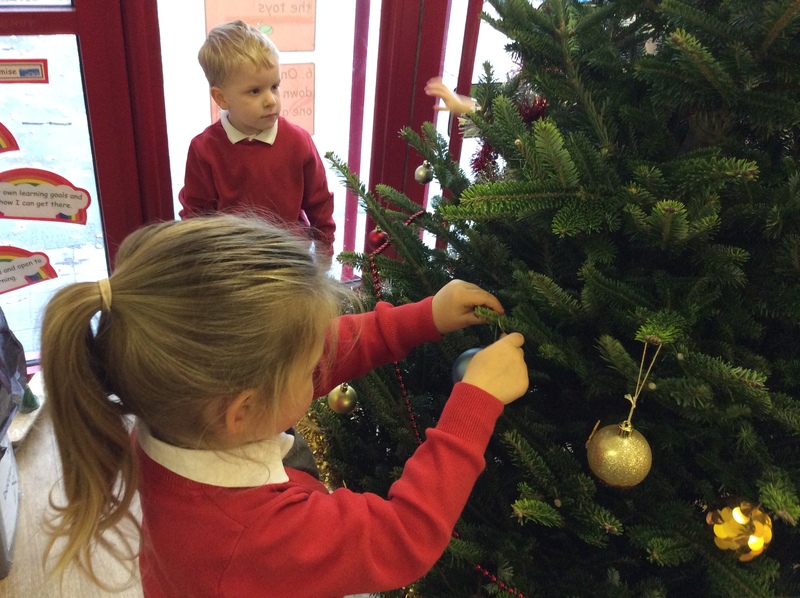 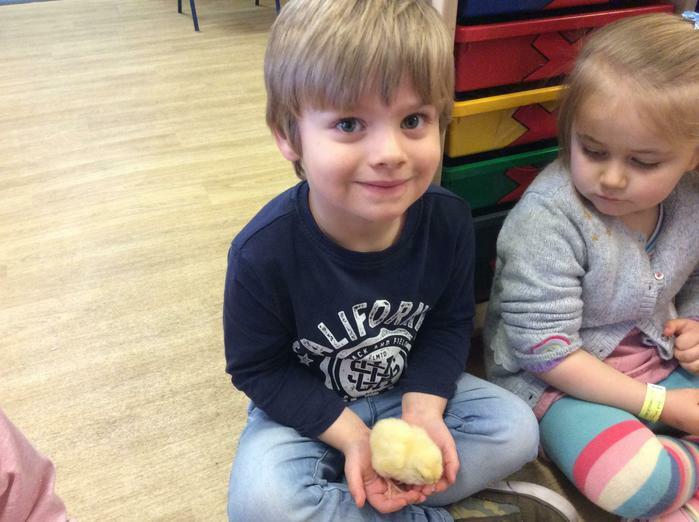 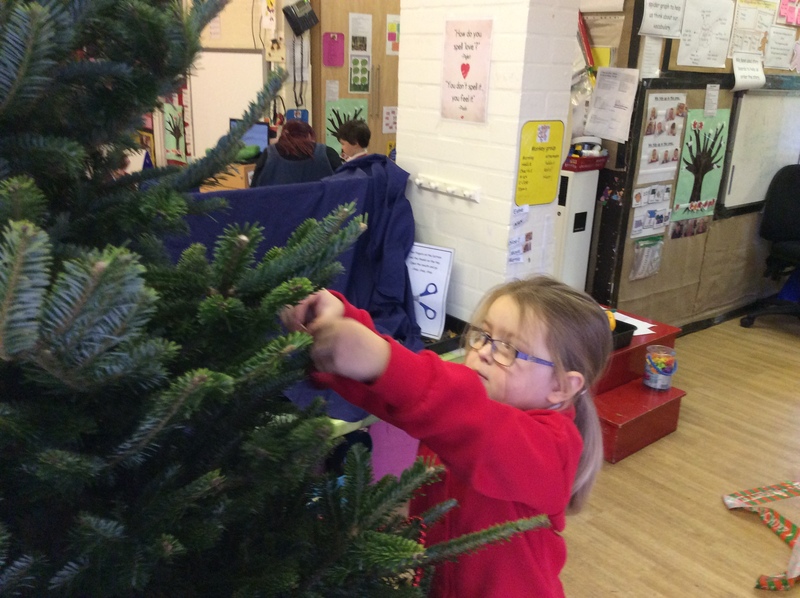 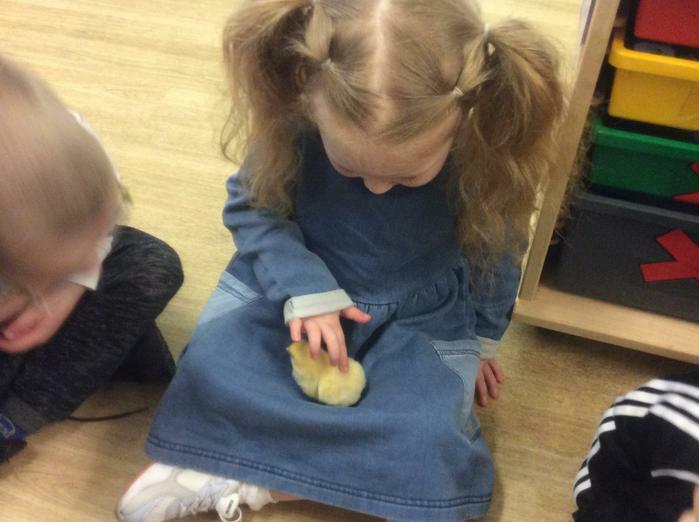 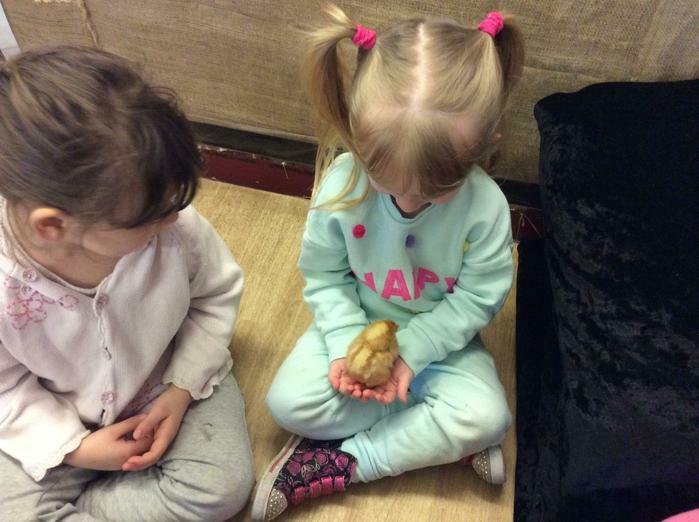 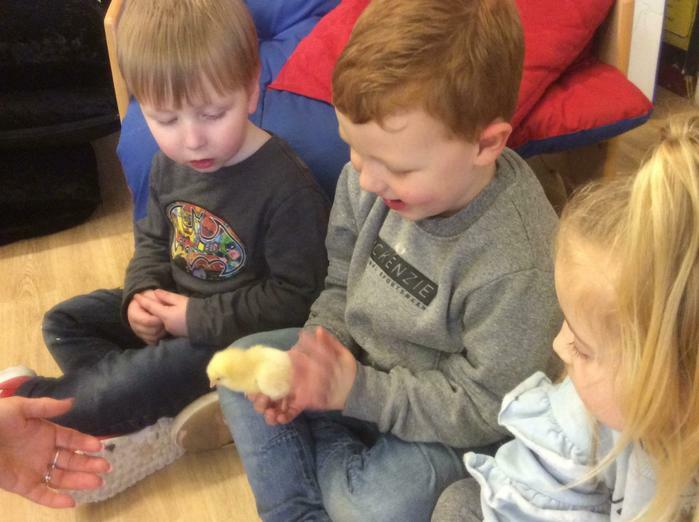 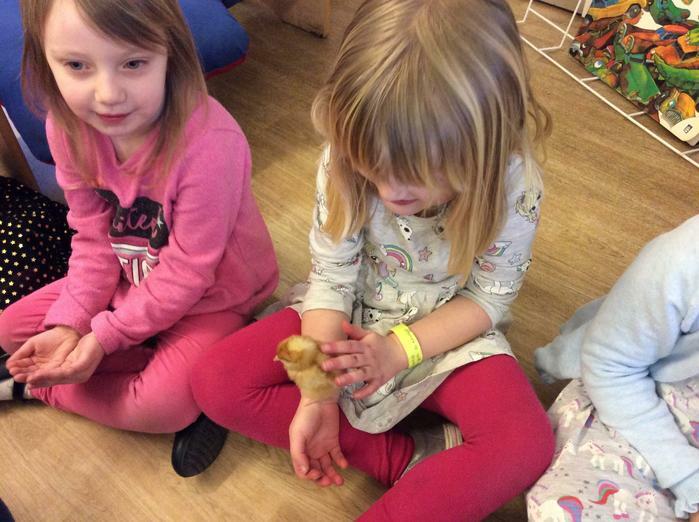 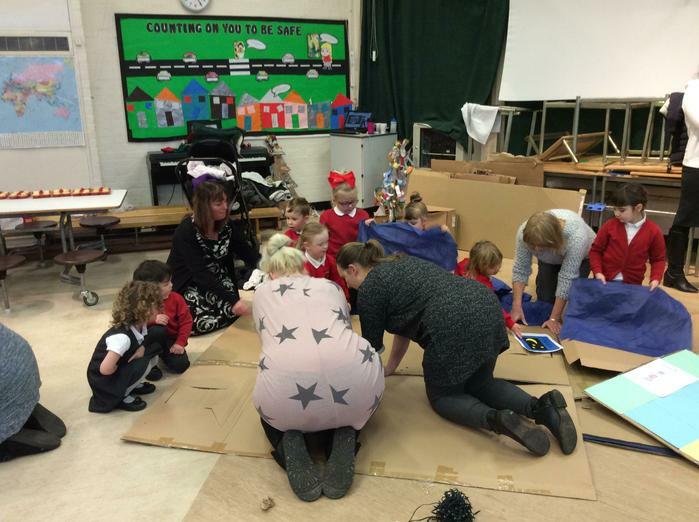 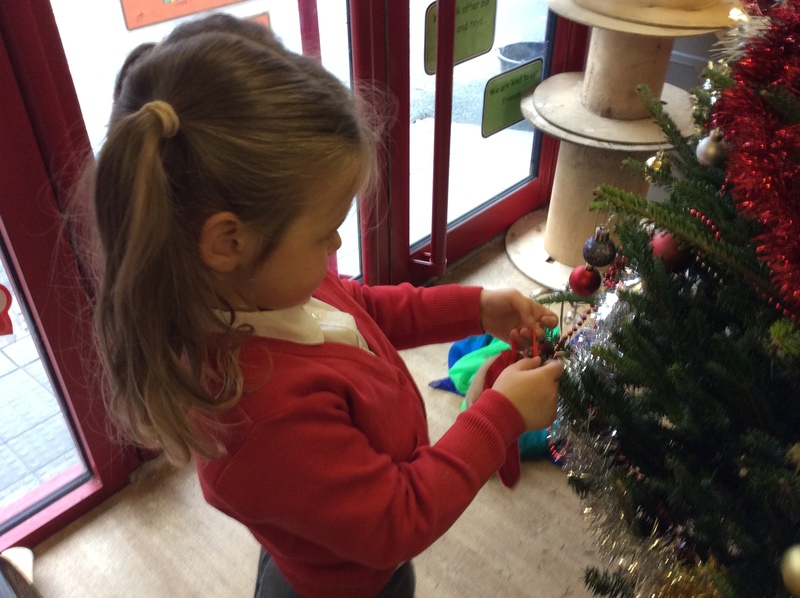 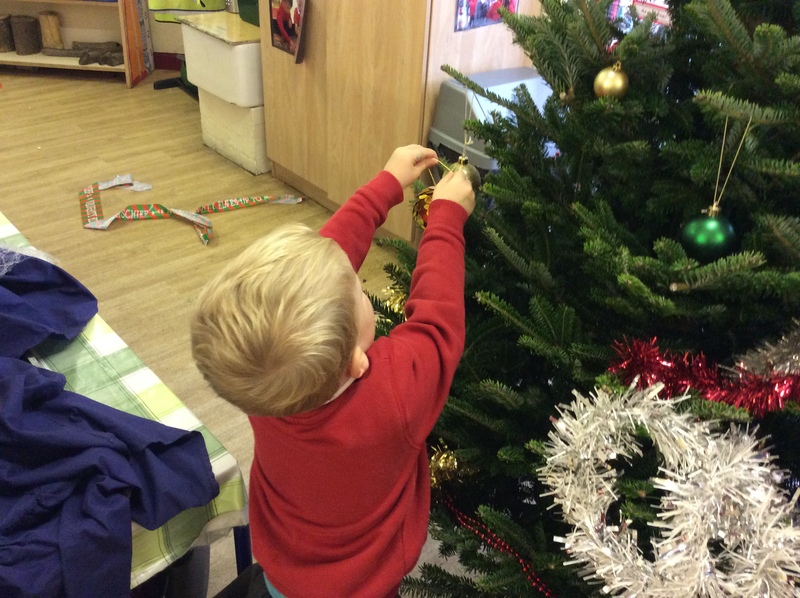 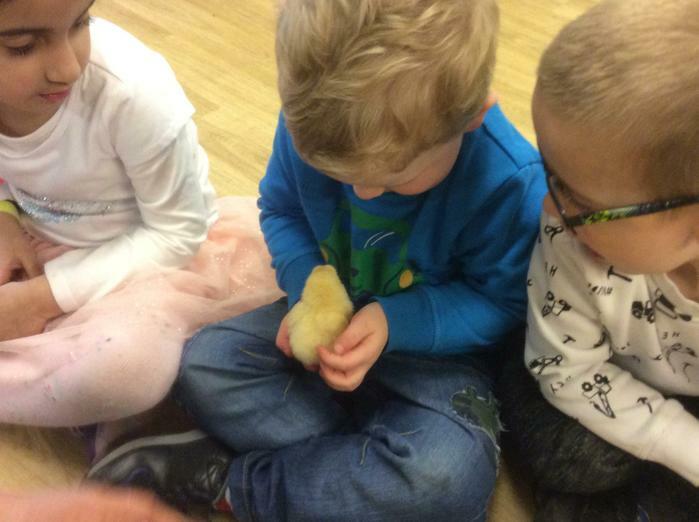 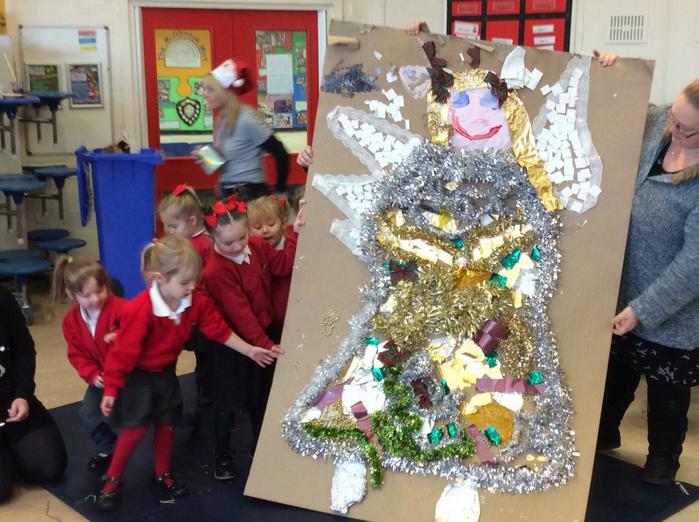 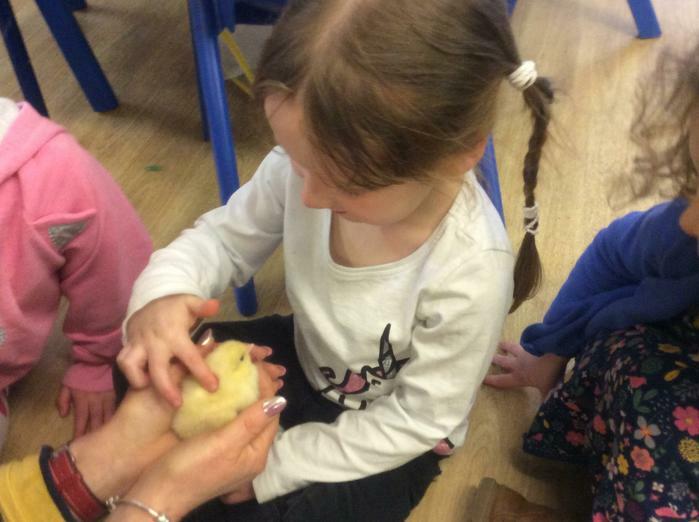 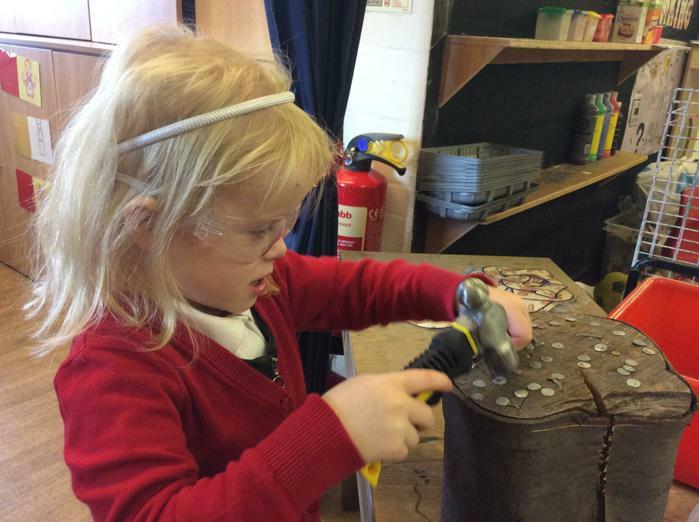 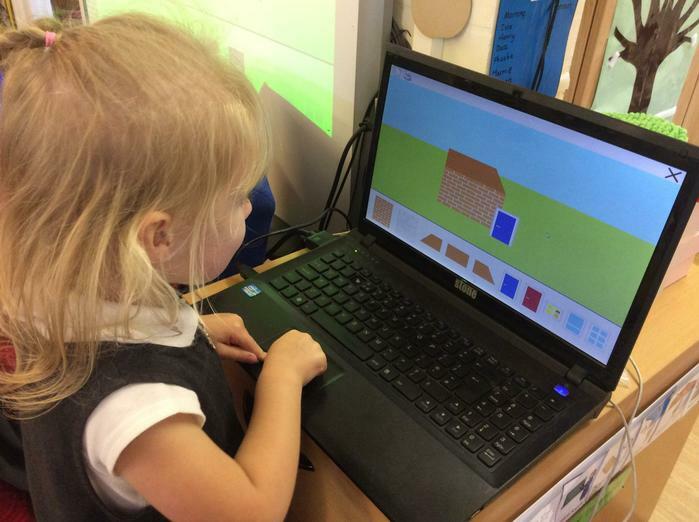 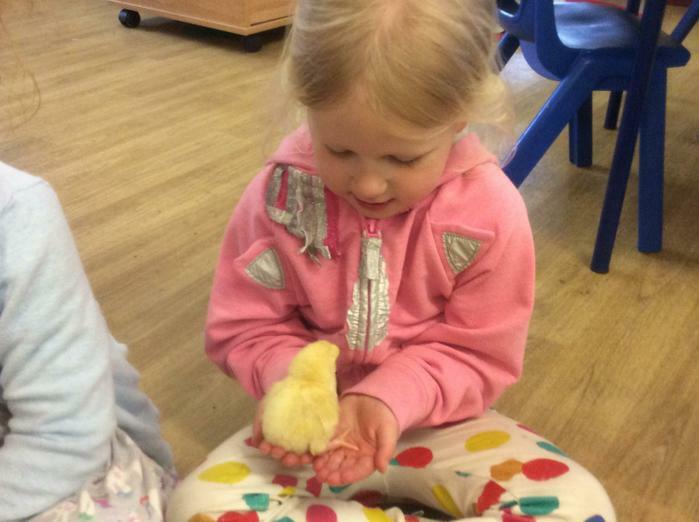 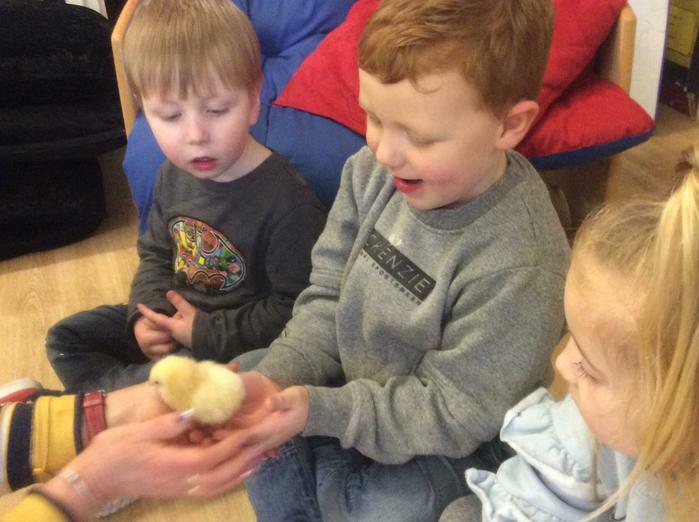 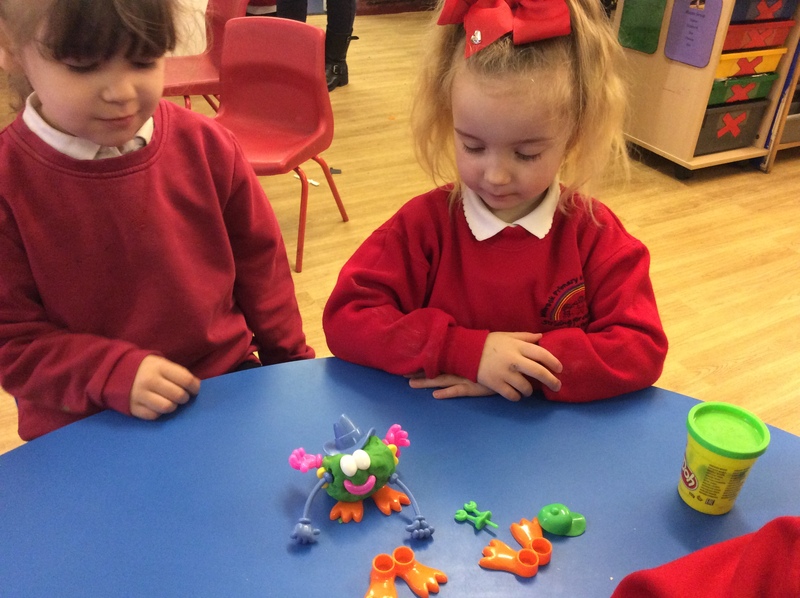 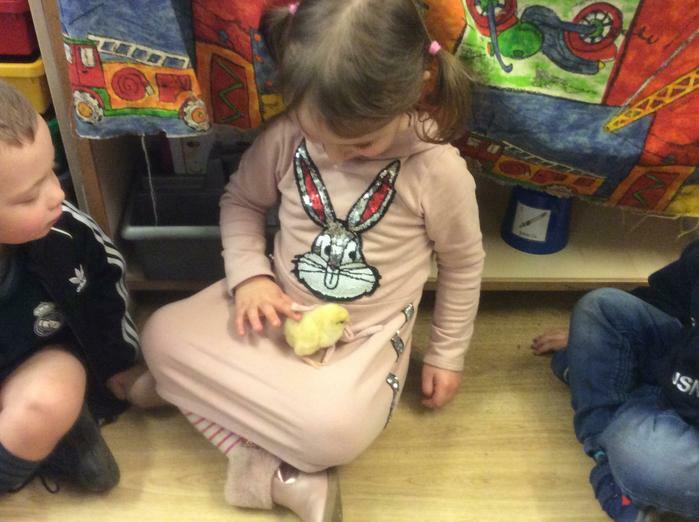 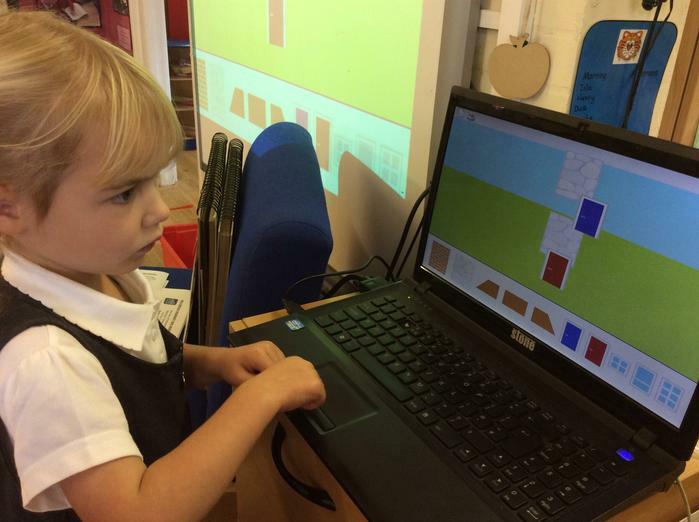 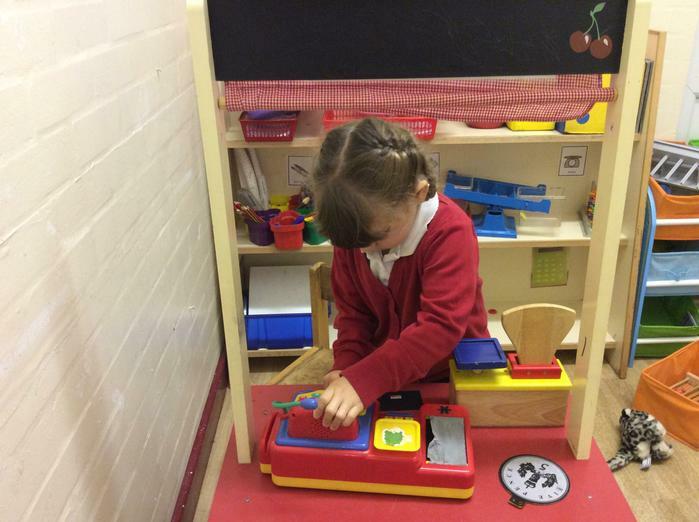 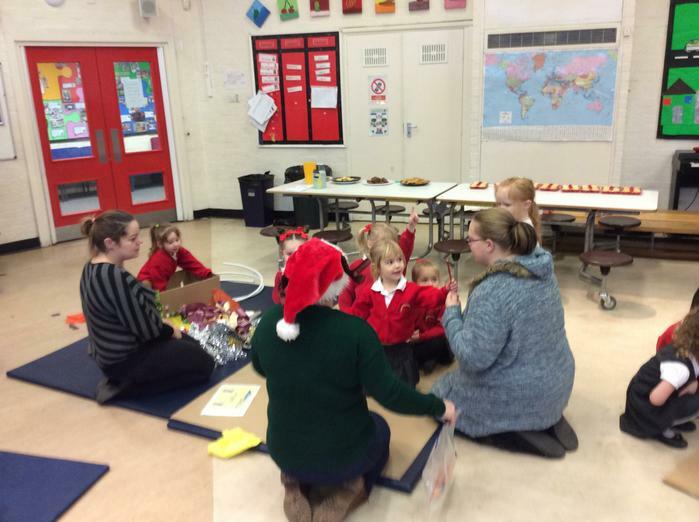 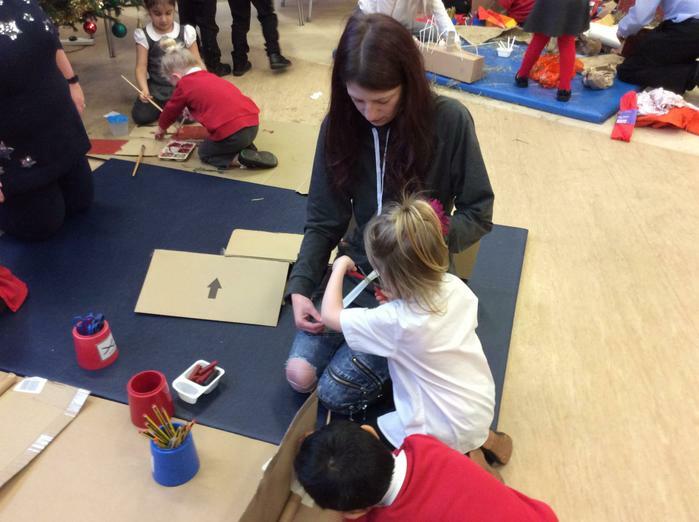 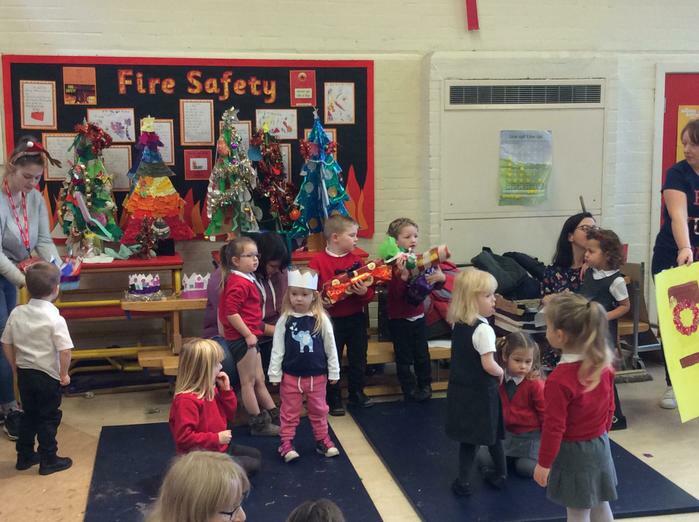 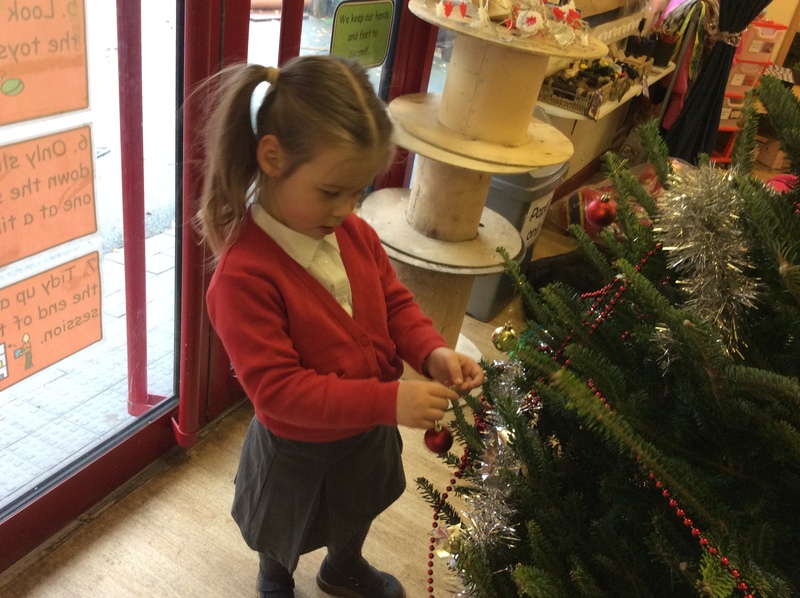 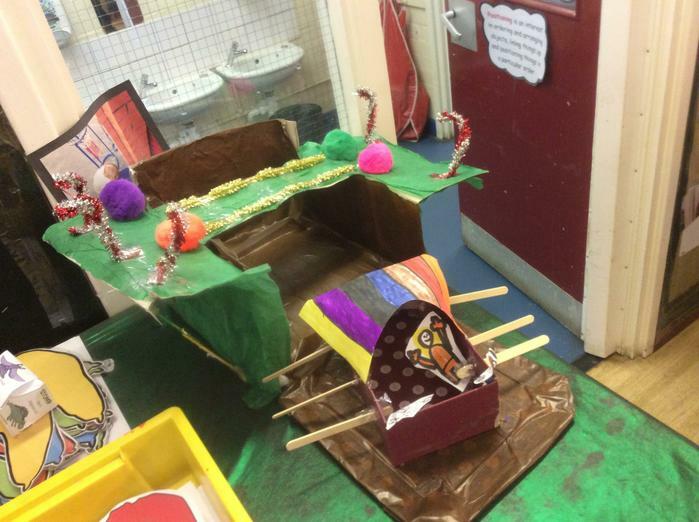 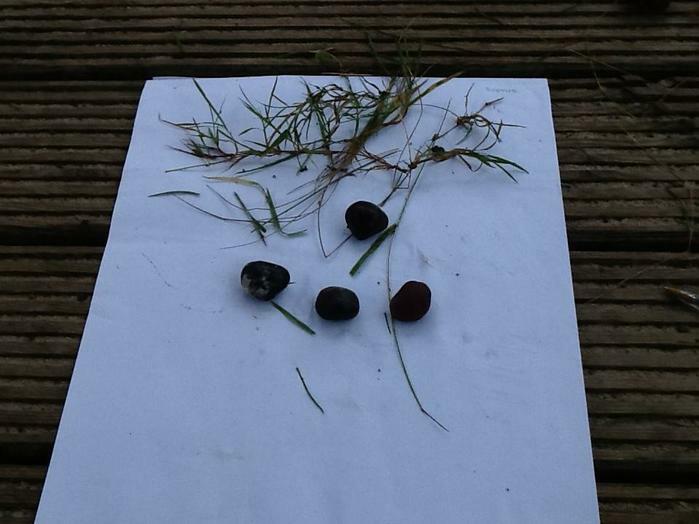 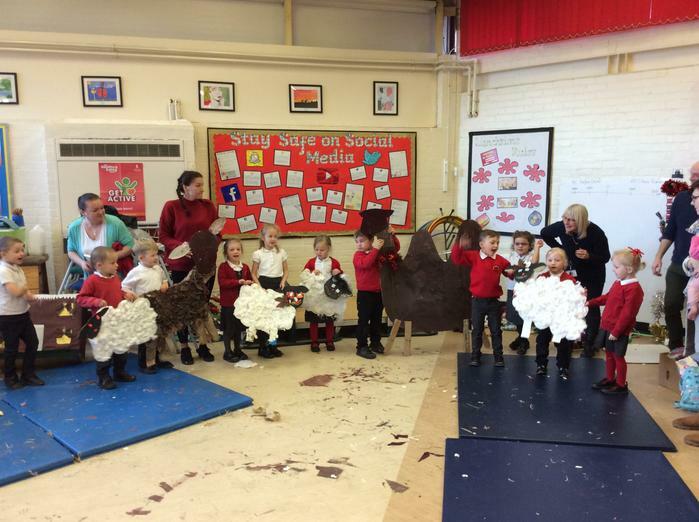 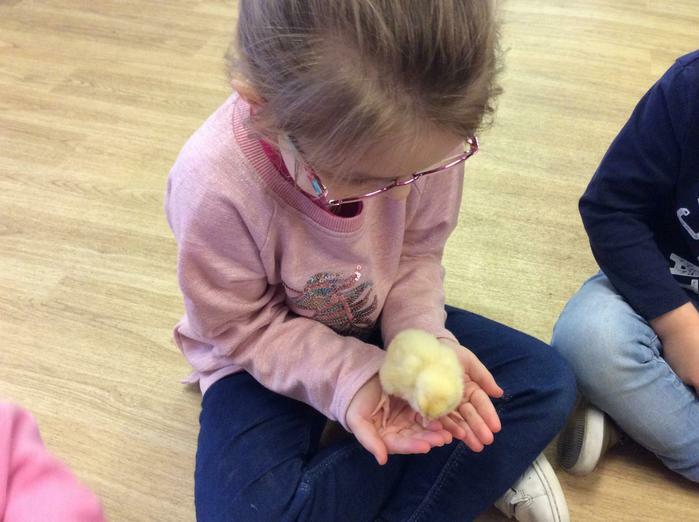 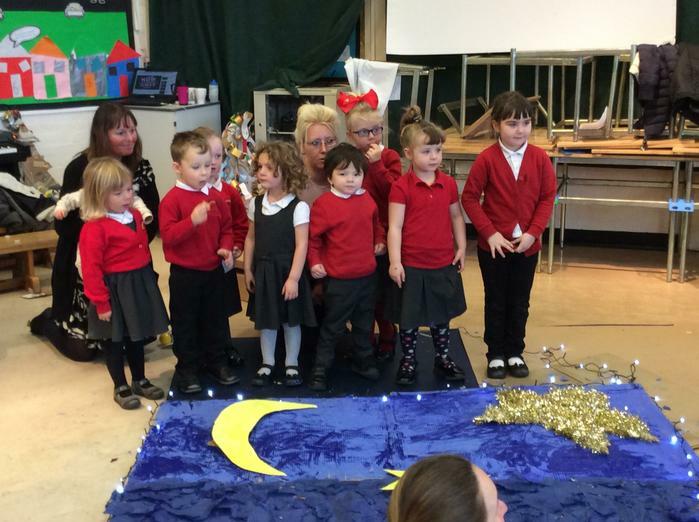 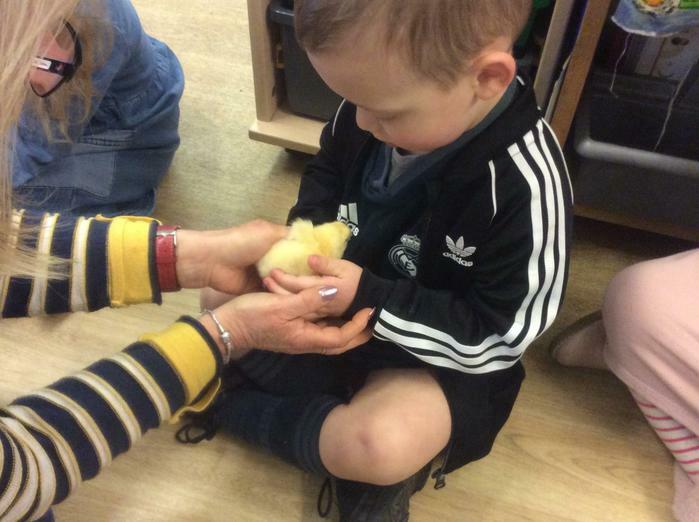 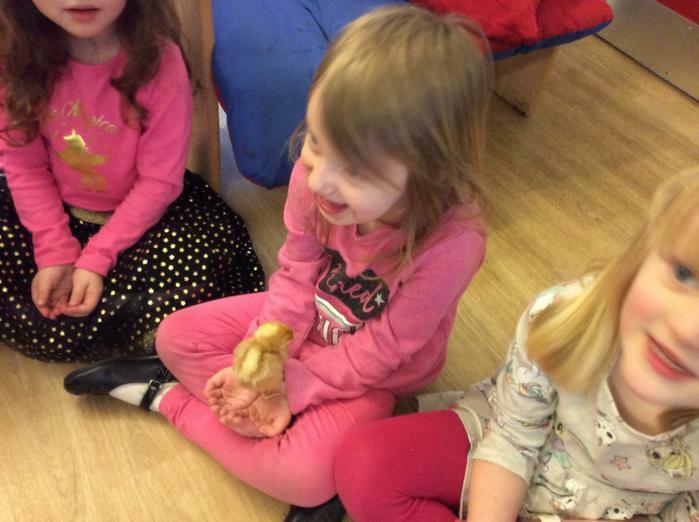 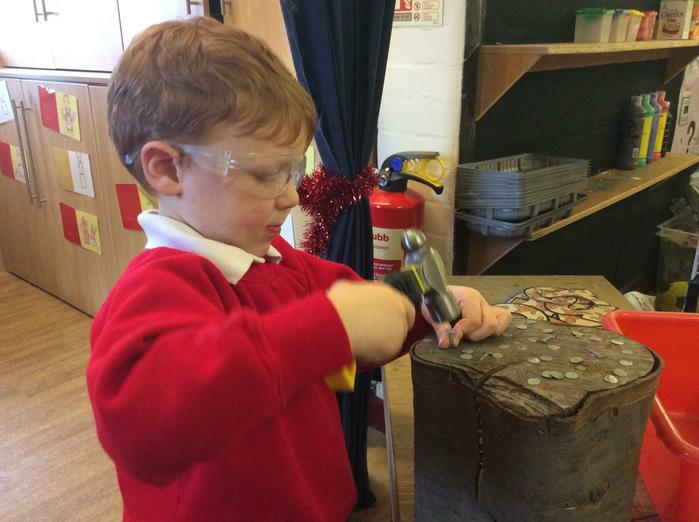 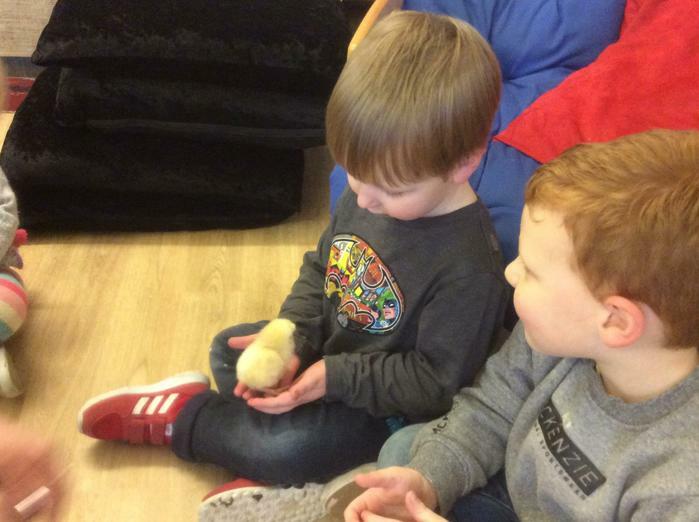 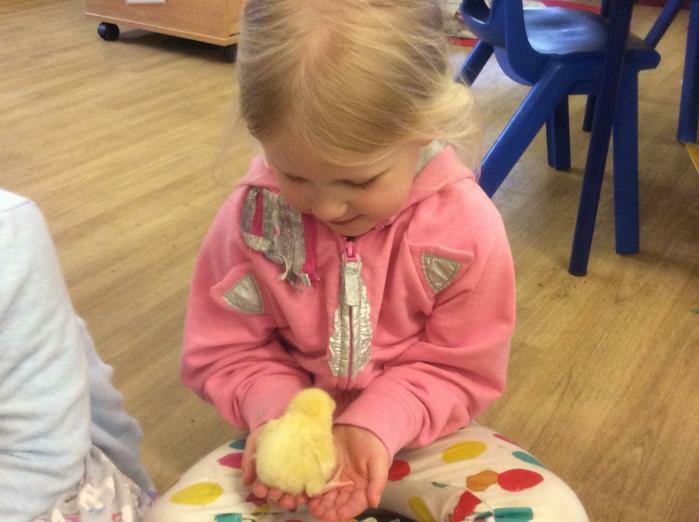 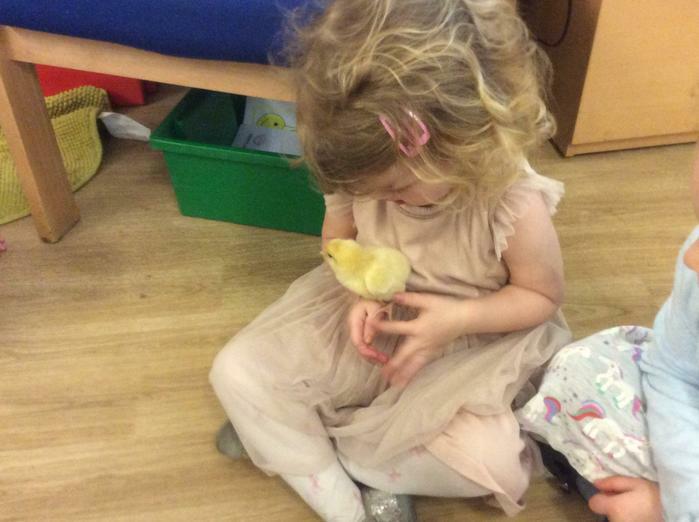 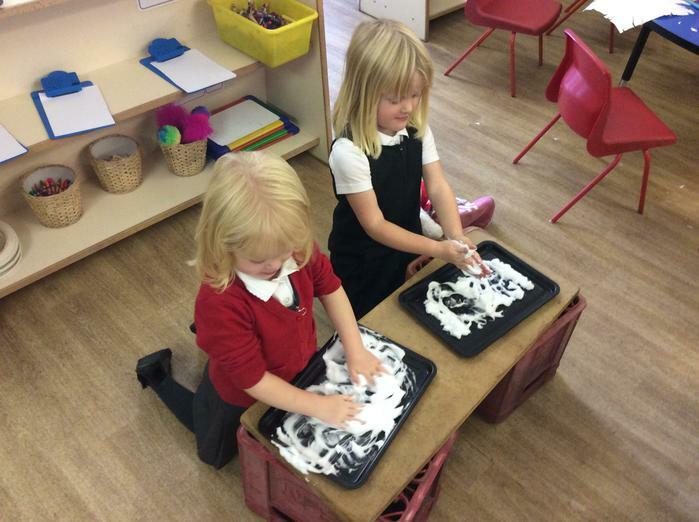 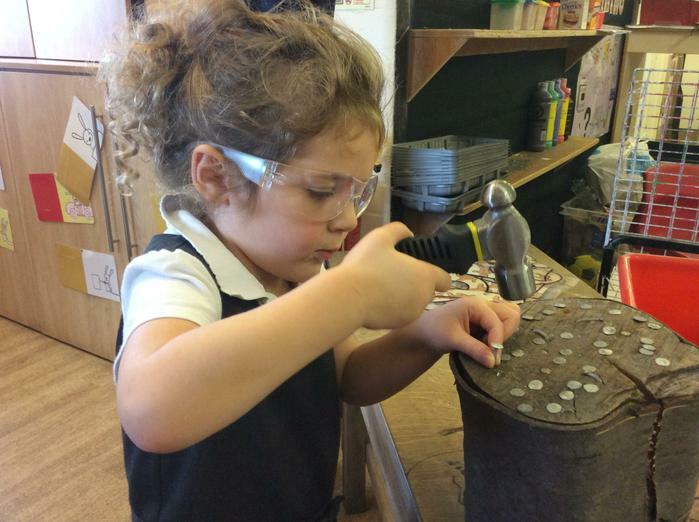 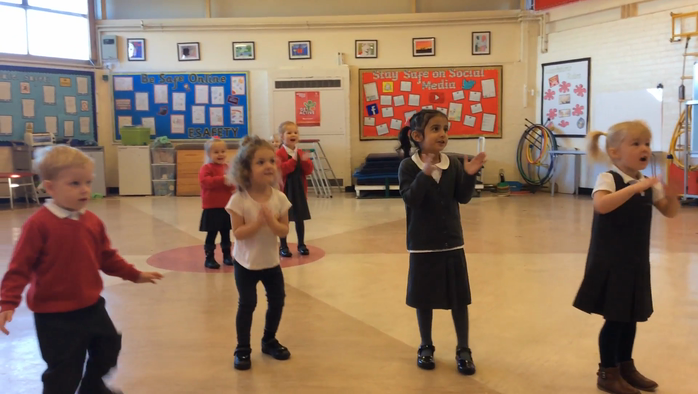 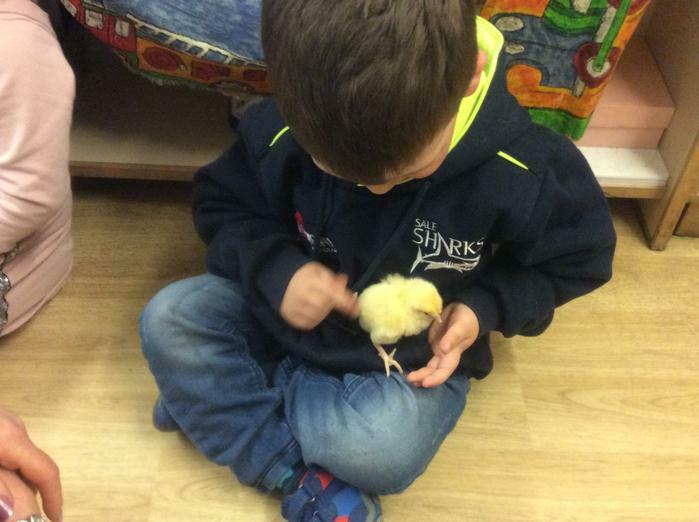 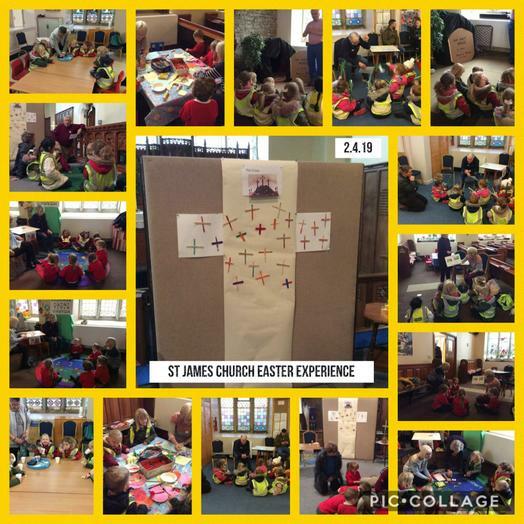 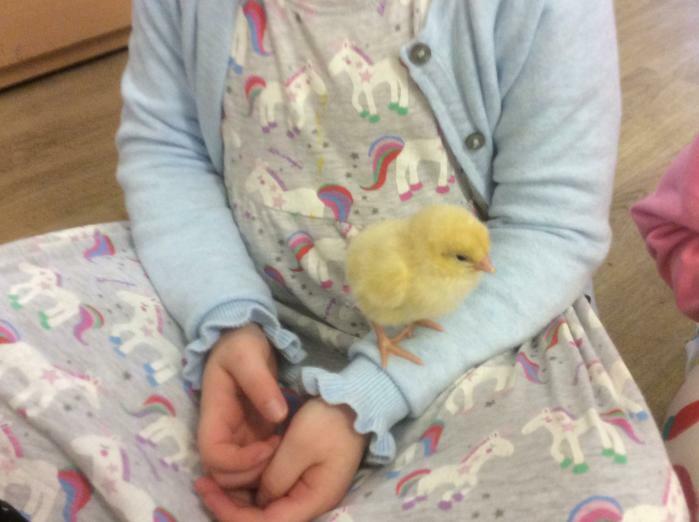 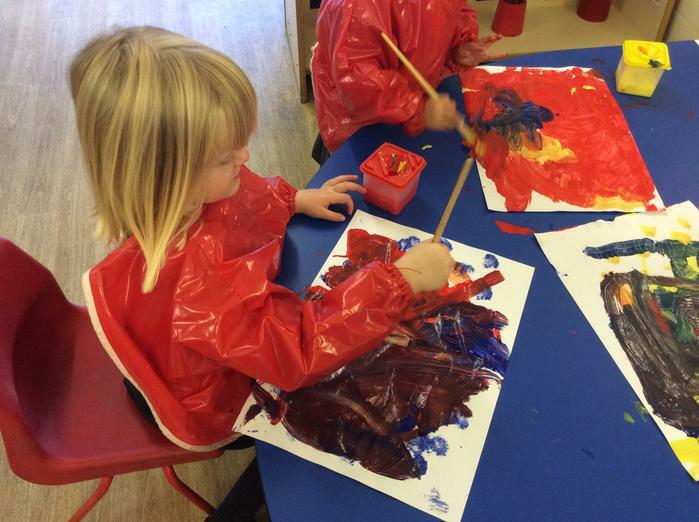 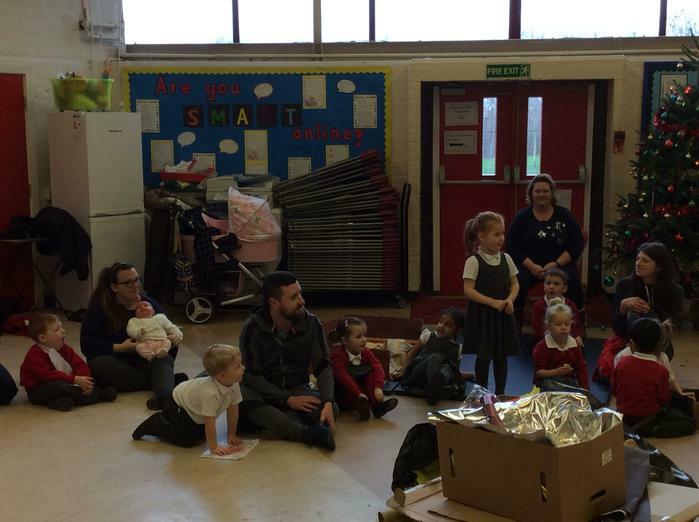 P4C is intended to be a regular activity so that the children develop their skills and understanding over time. 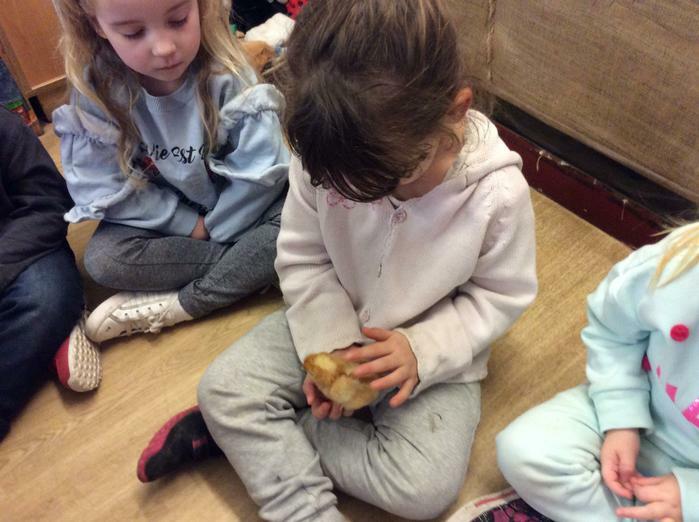 P4C has an impact on children's cognitive, social and emotional development. 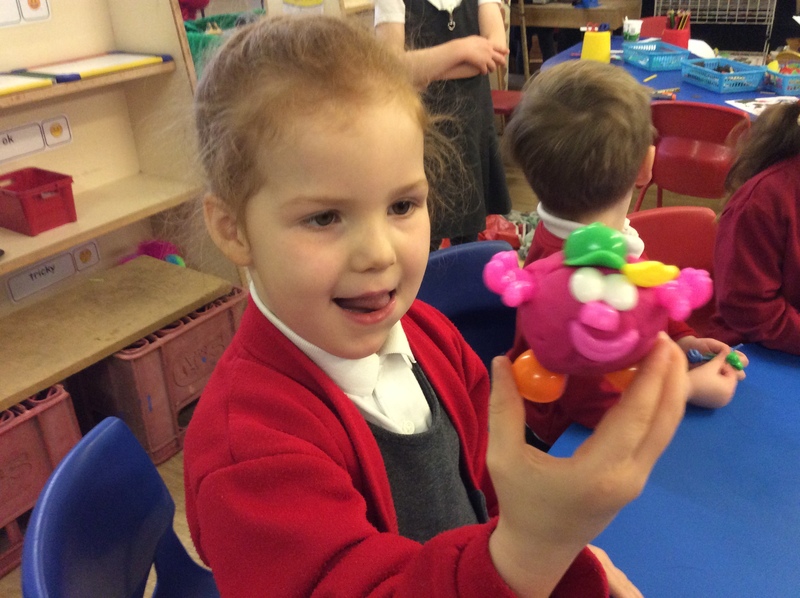 P4C is about getting the children to think and communicate well; to think for themselves. 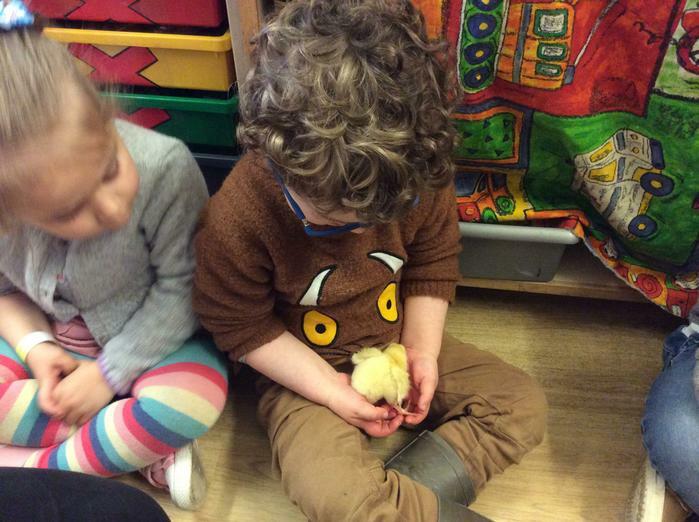 Use the picture below to think about the P4C question for this half term. 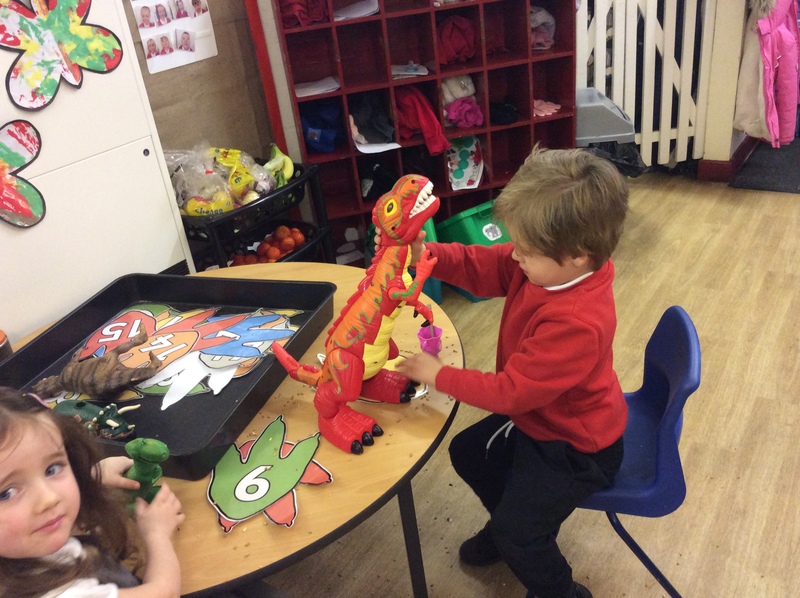 Would you like to meet a dinosaur? 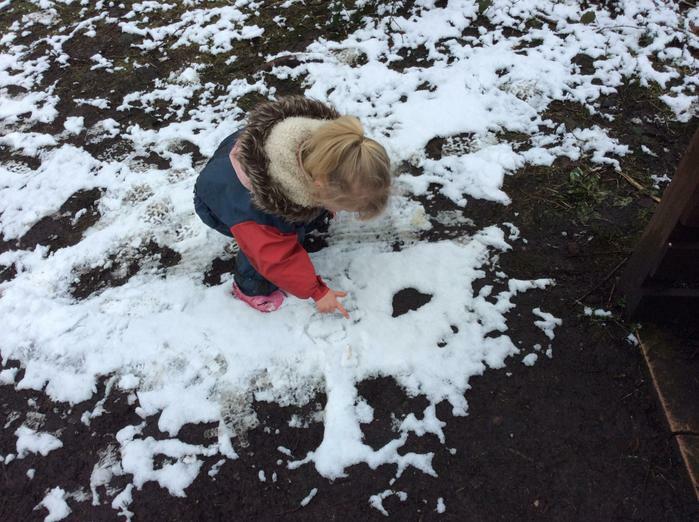 Understand what's behind your child's play and help them learn by observing patterns of behaviour or "schemas". 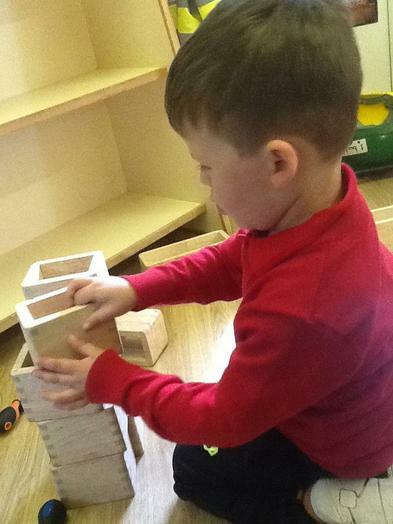 Schemas are patterns of behaviour that appear through children's play. 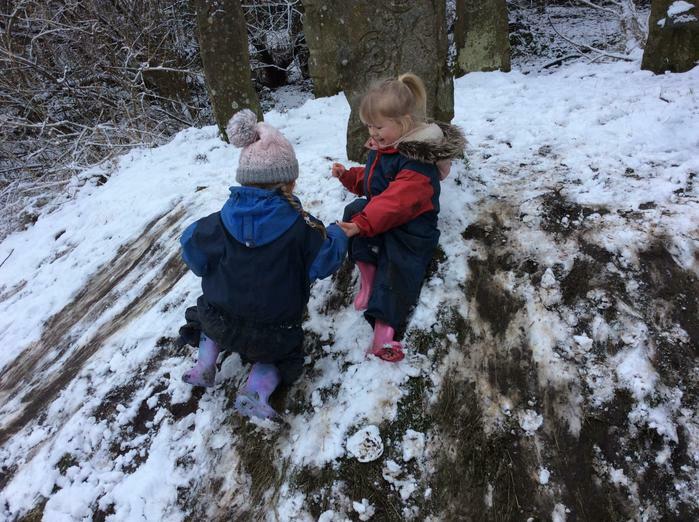 Schemas are an important part of children's development and knowing about these play urges can help you understand why children are so determined to do things in a certain way. 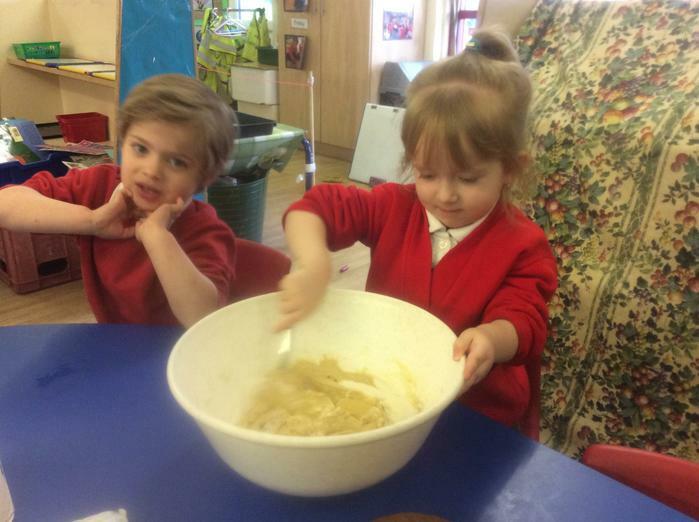 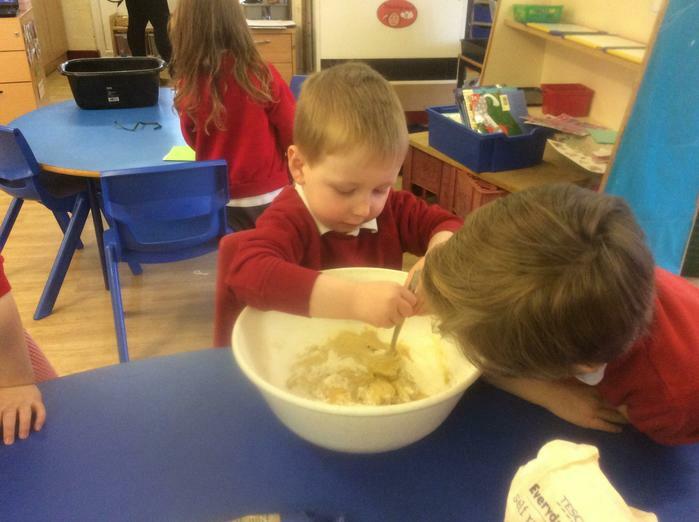 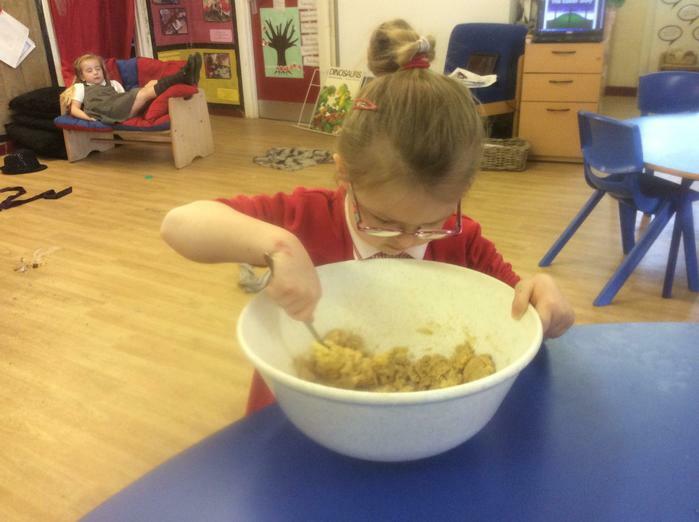 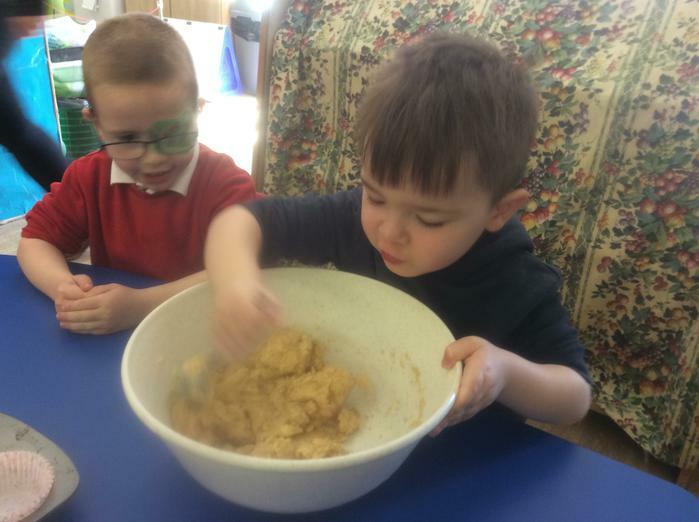 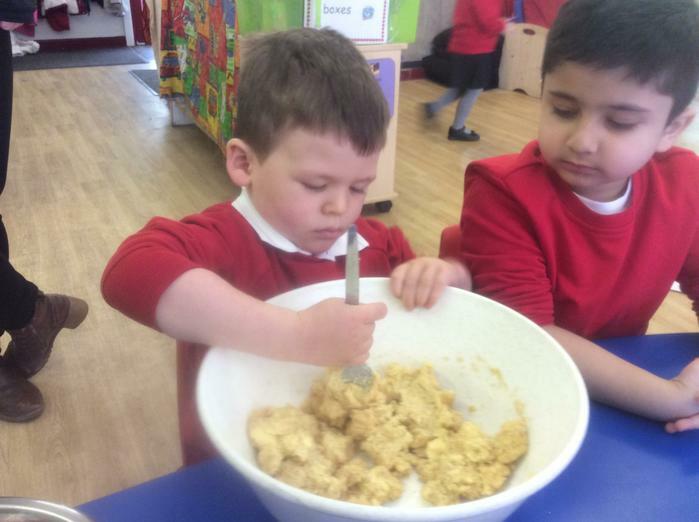 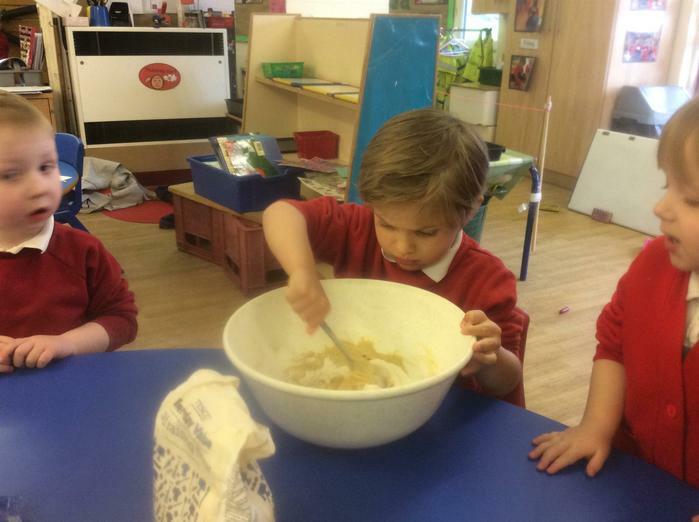 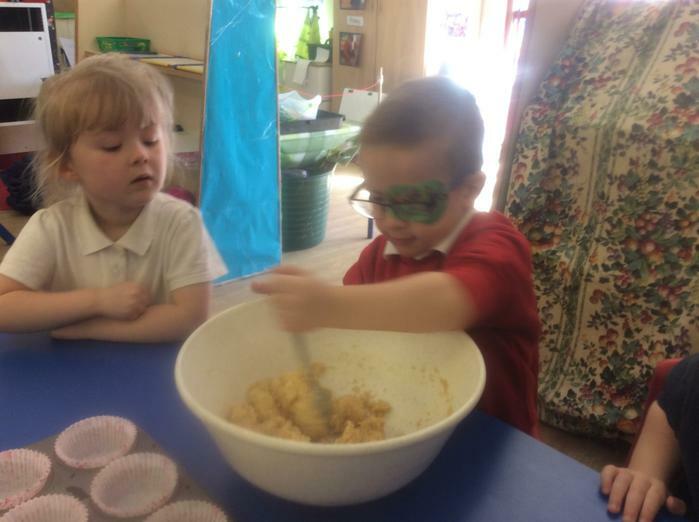 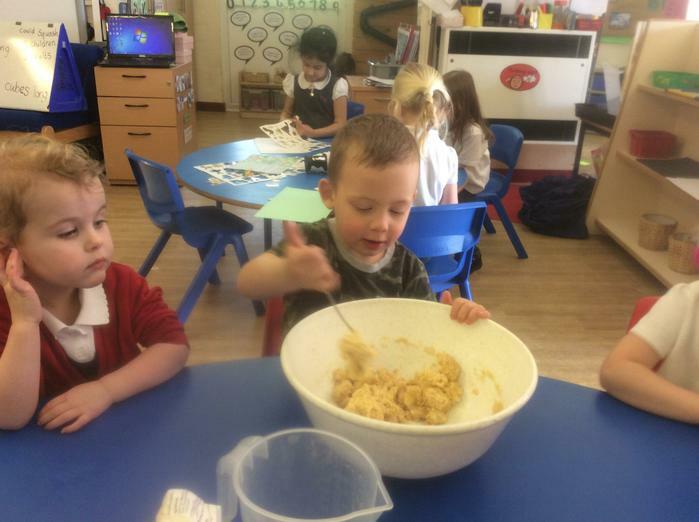 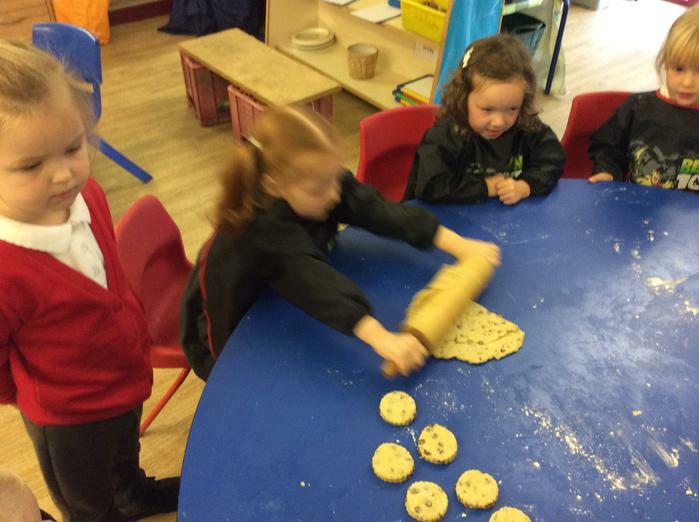 This half term our talk for baking activity is biscuits. 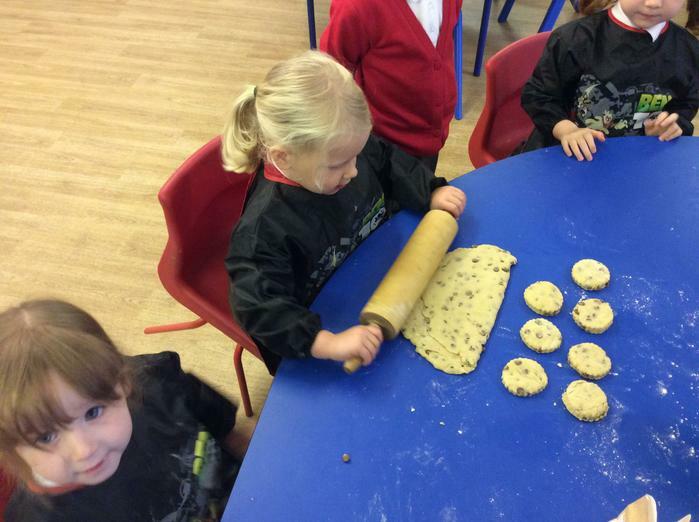 Talk for baking is based on talk 4 writing. 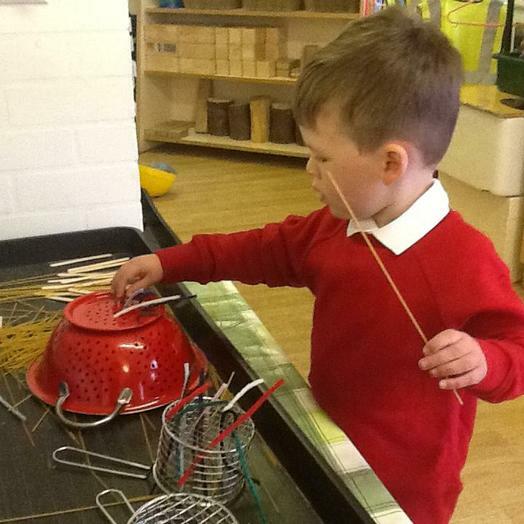 It is strong and powerful because it is based on how children learn. 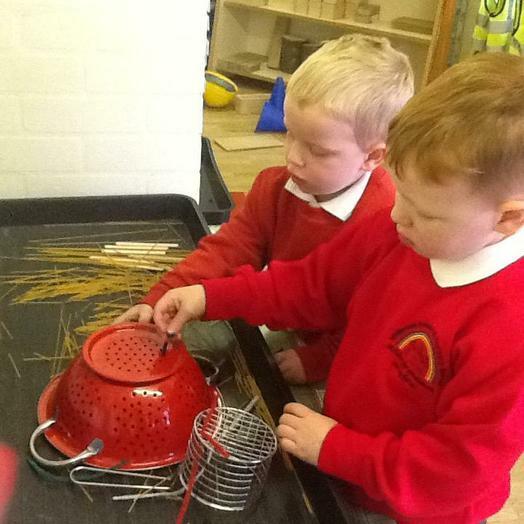 It enables children to imitate the language they need for a particular topic. 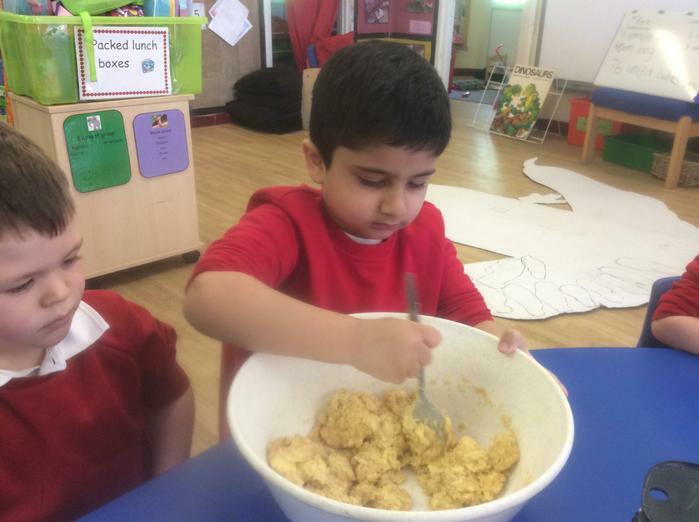 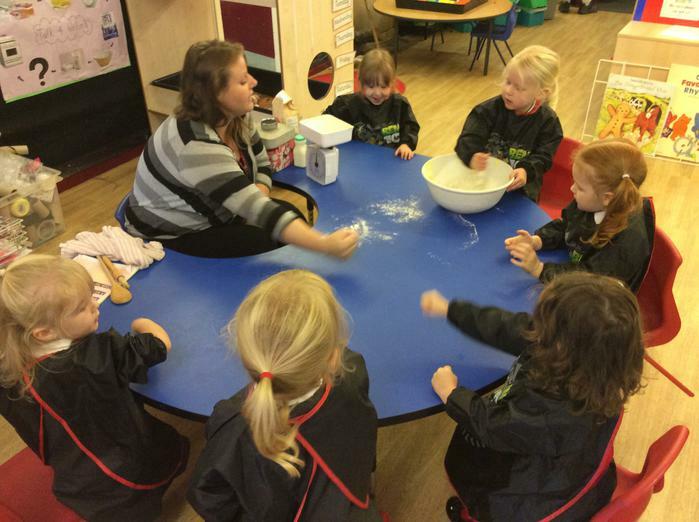 During our talk 4 baking activity children put actions to words and this enables the children to activity remember the words in the sequence. 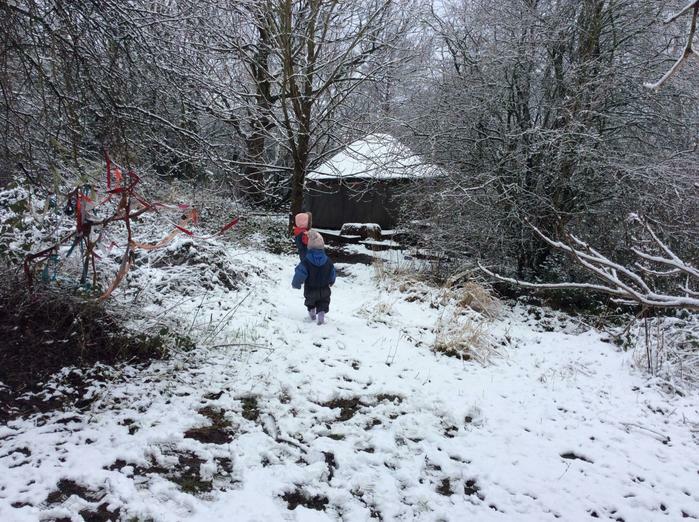 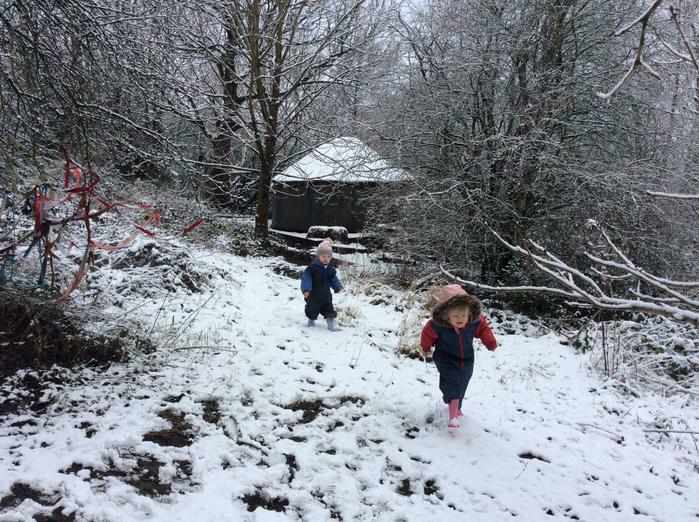 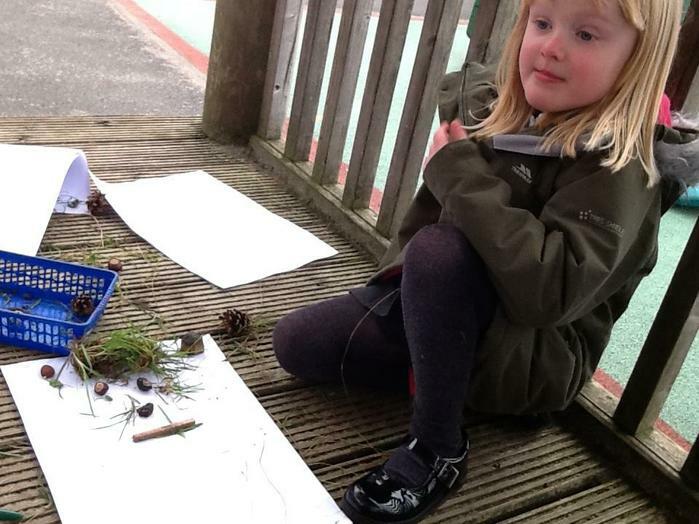 Forest school promotes holistic development and gives the children opportunity to risk take and self regulate. 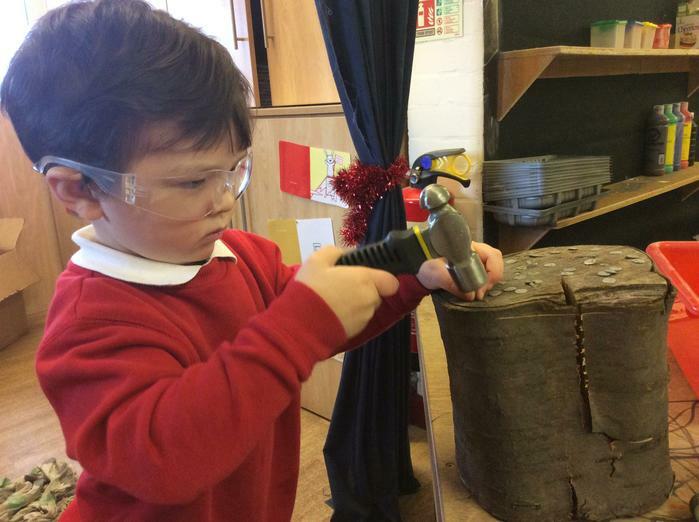 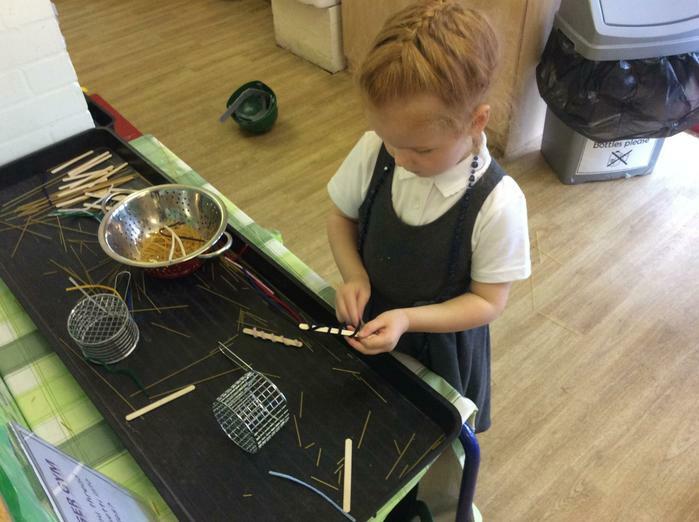 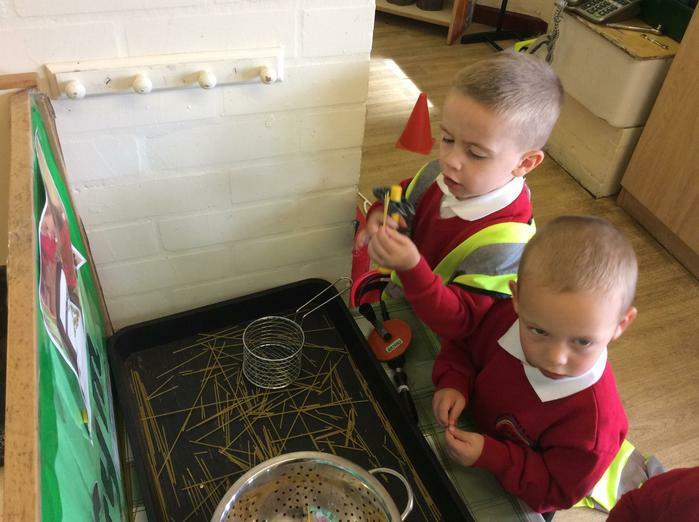 Children are able to investigate, test and maintain curiosity in the world around them and given encouragement to direct their own learning through play. 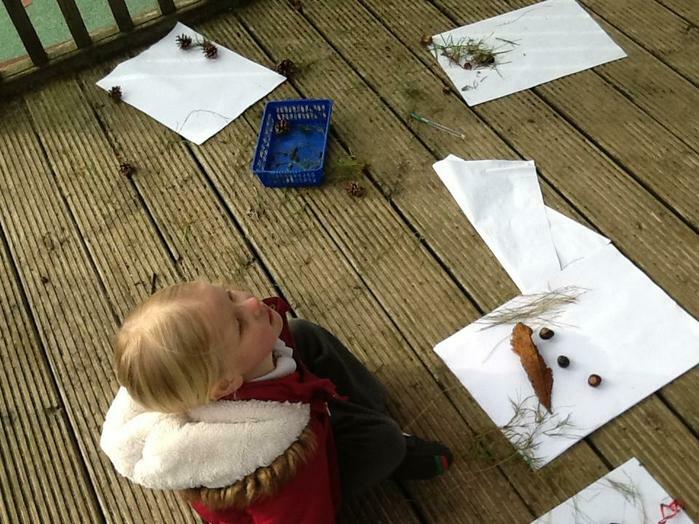 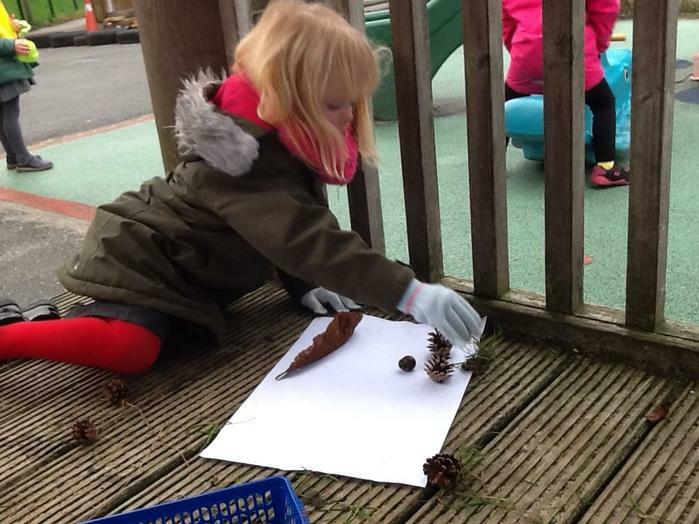 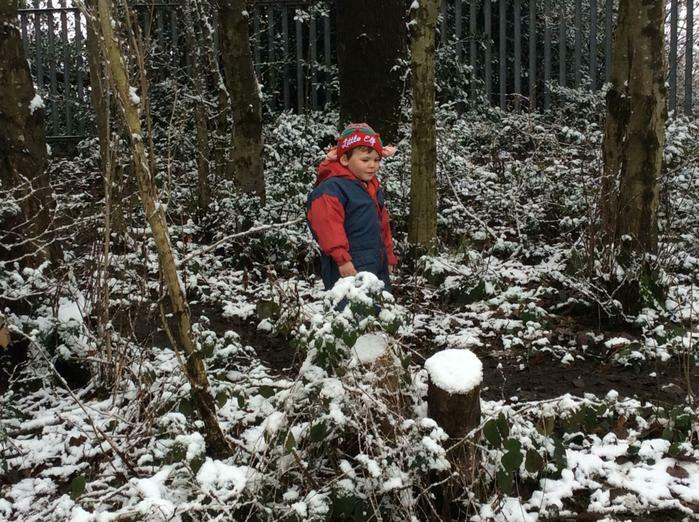 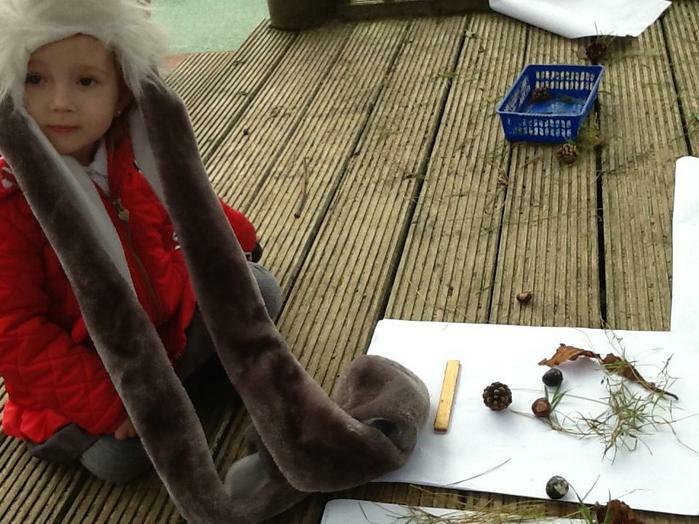 Forest School promotes emotional growth as well as independence; it instils a deep respect and awareness for the natural world and reconnects them to their environment. 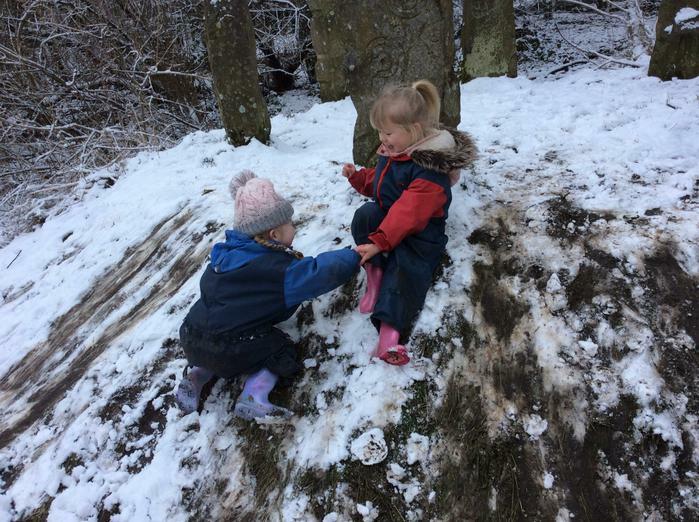 Research proves that children are more likely to flourish when allowed to indulge in “risky play” outdoors unhindered by excessive adult supervision. 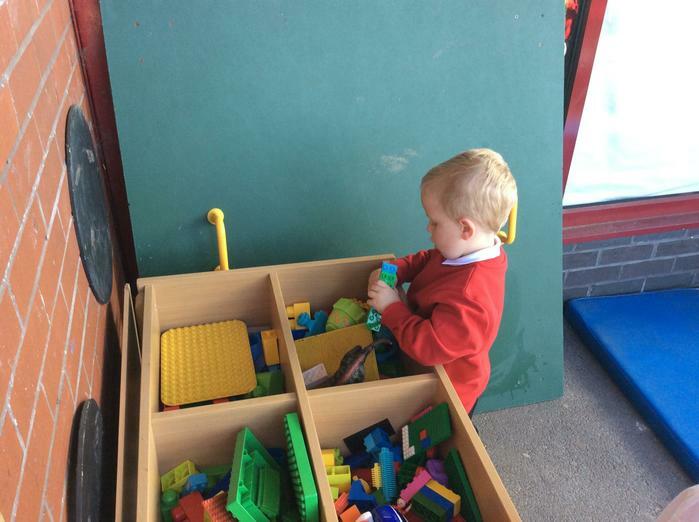 Risky play means that children manage their own behaviours, follow their own interests and become engaged in their own learning experiences. 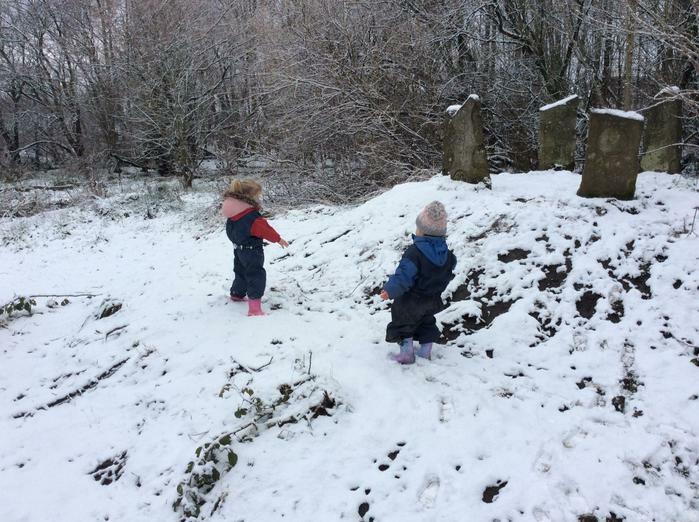 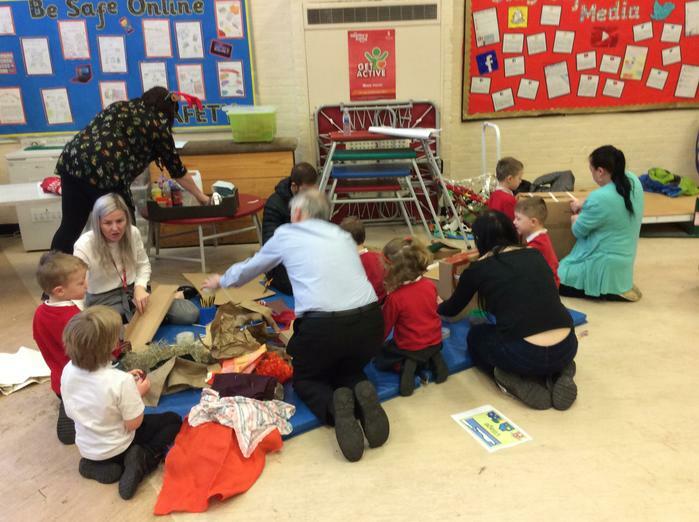 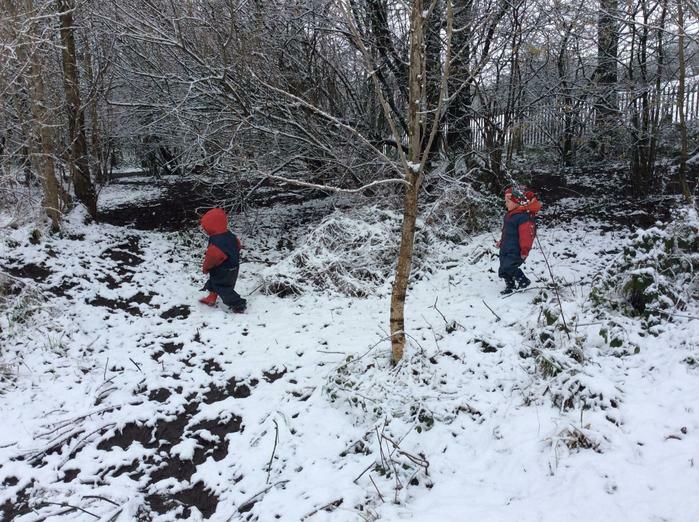 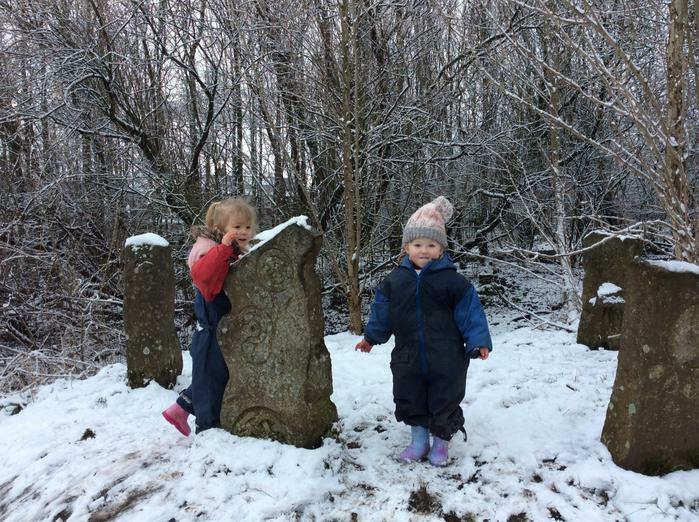 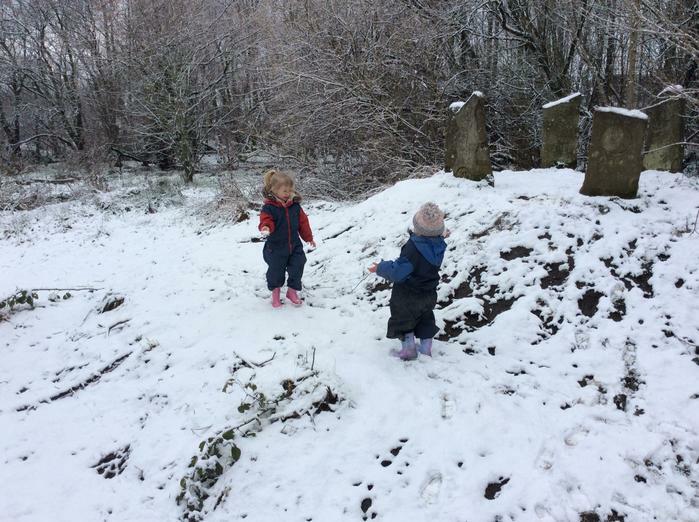 Children are also able to connect with the environment across the change of seasons through regular forest sessions. 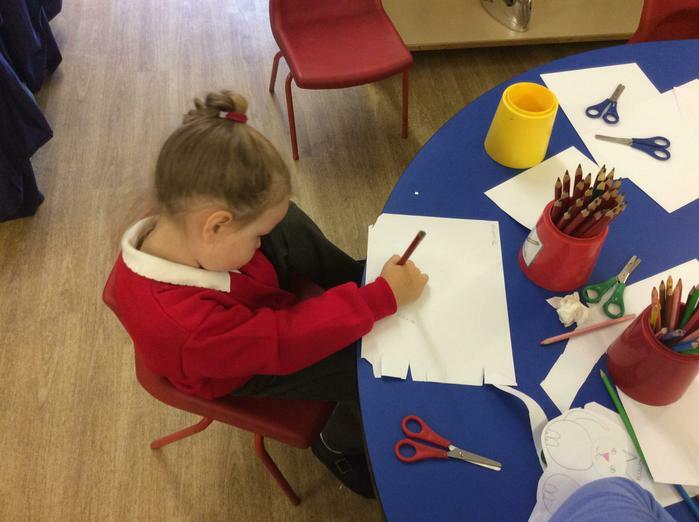 The skill of writing begins with mark making. 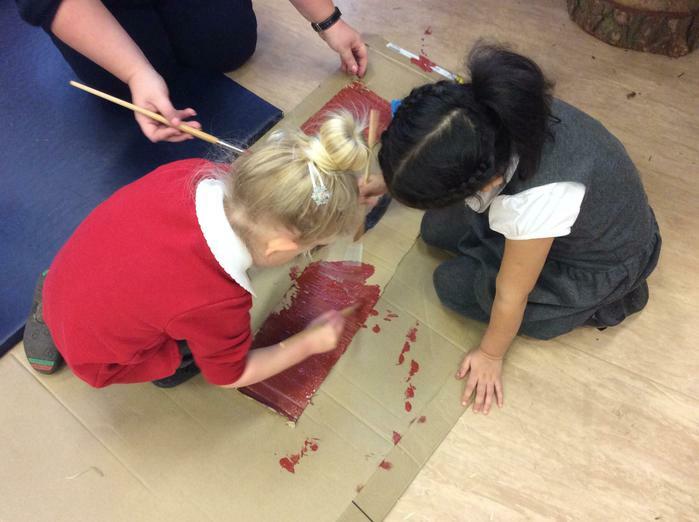 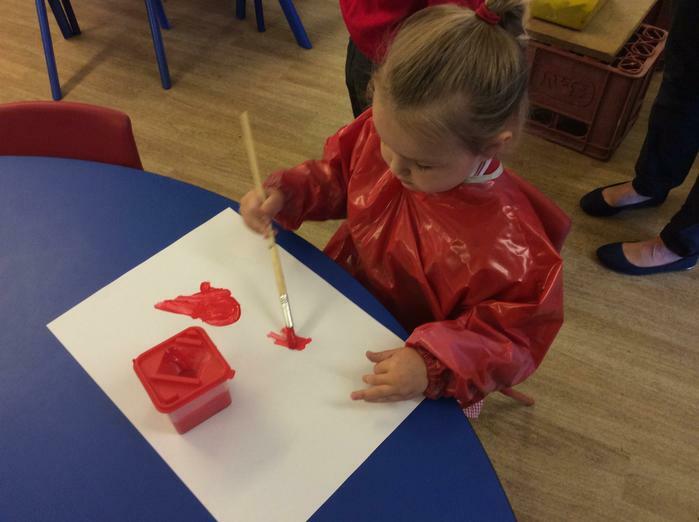 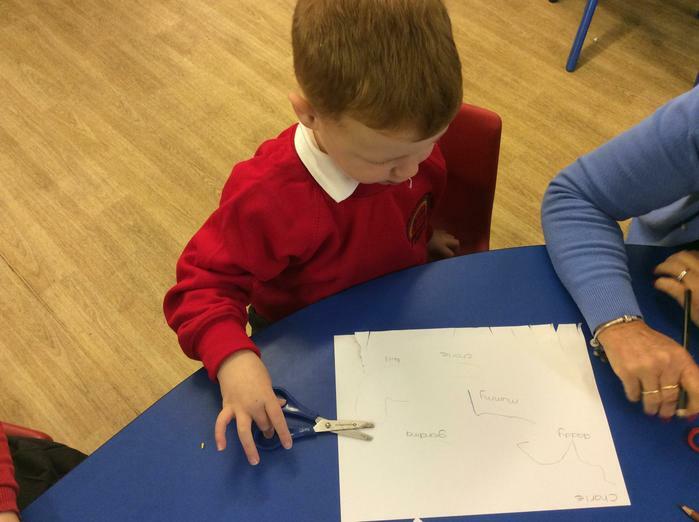 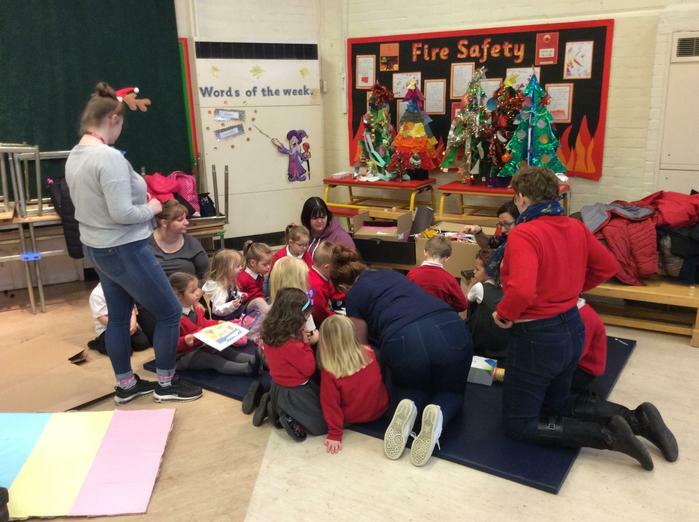 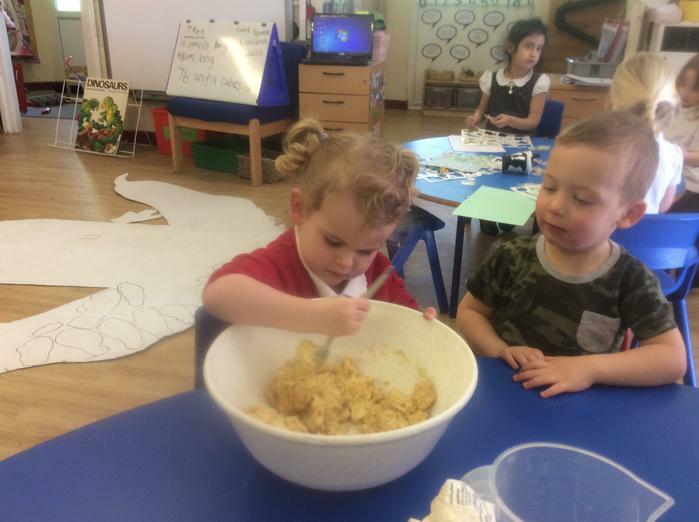 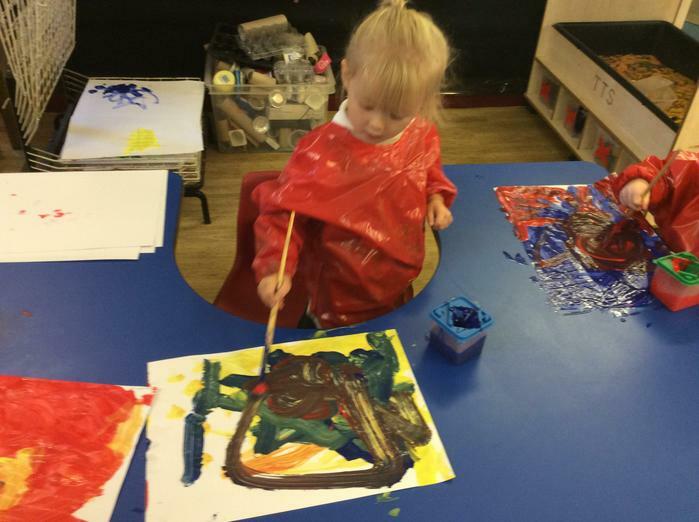 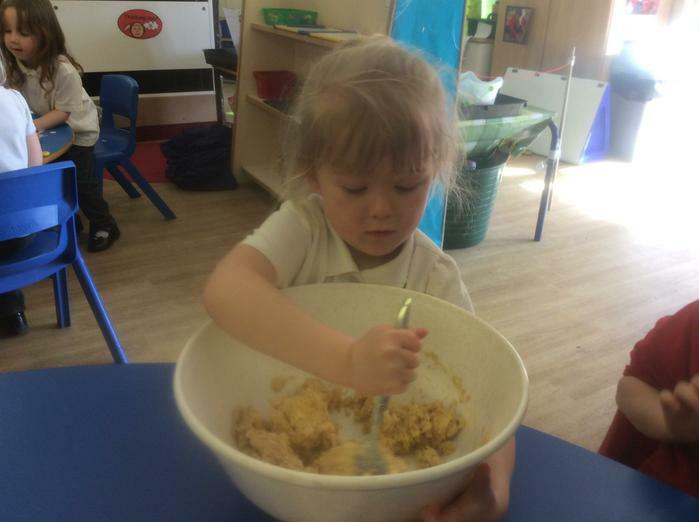 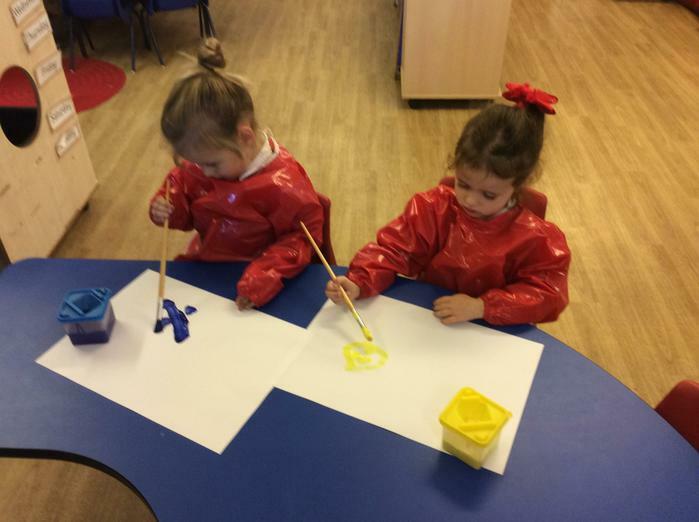 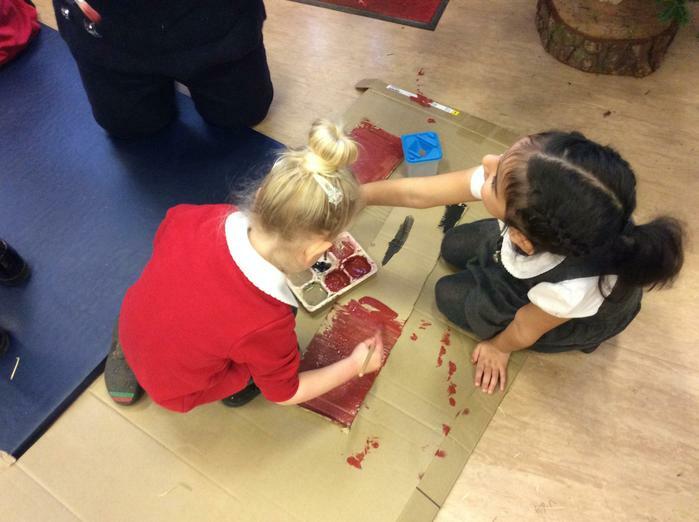 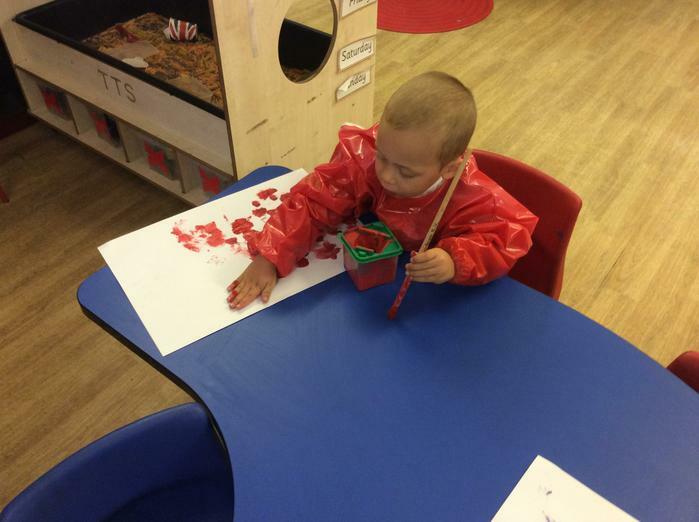 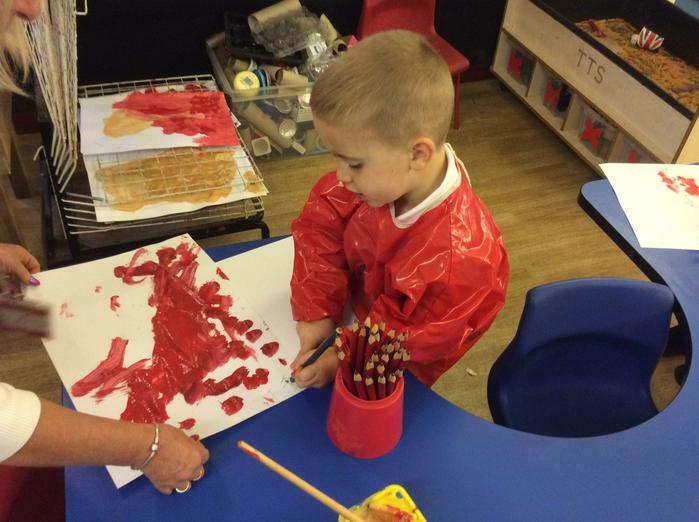 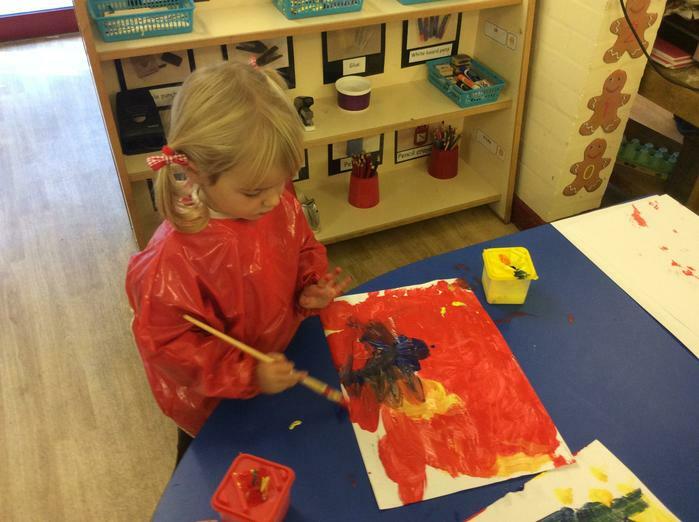 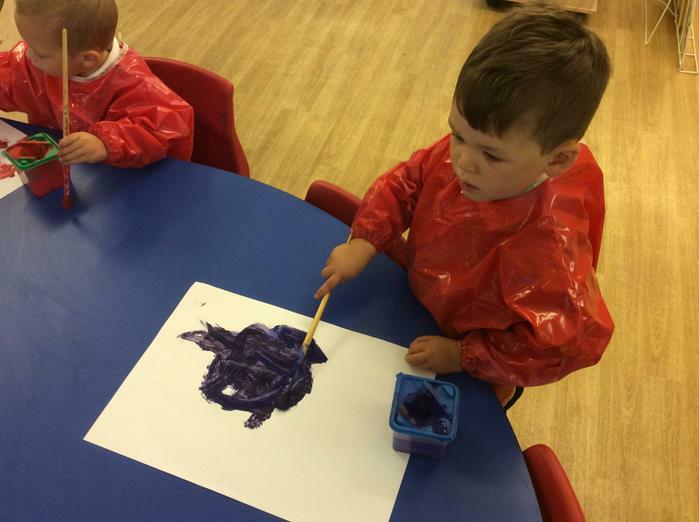 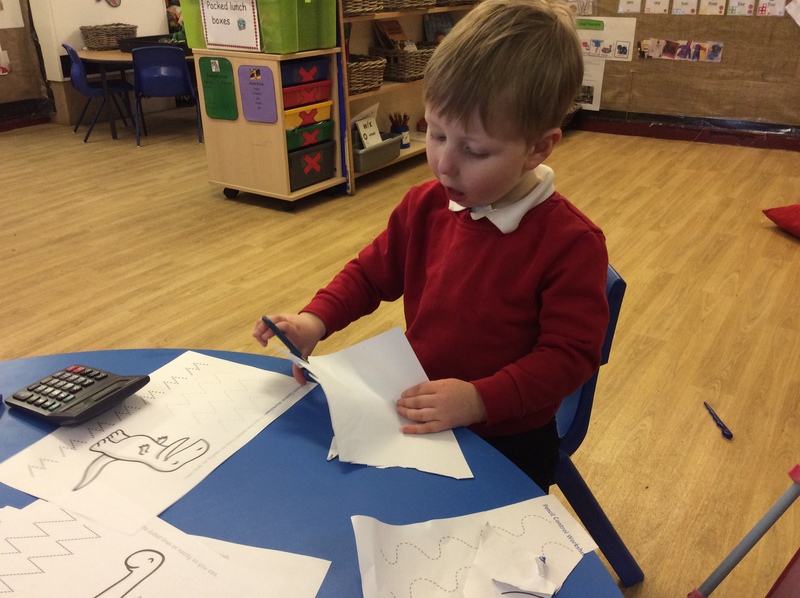 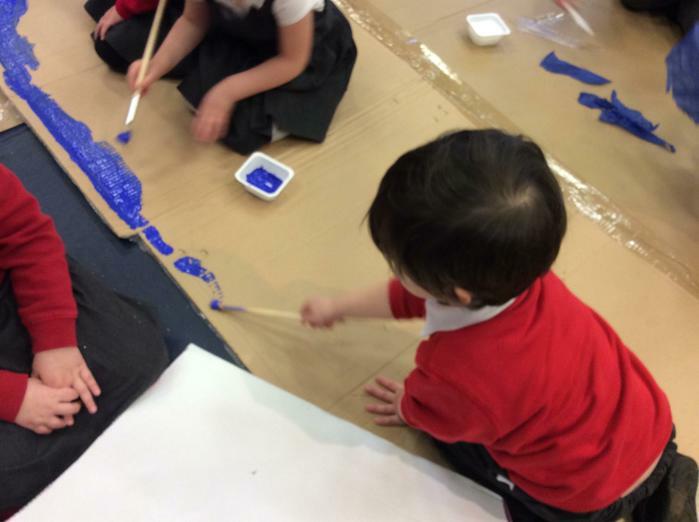 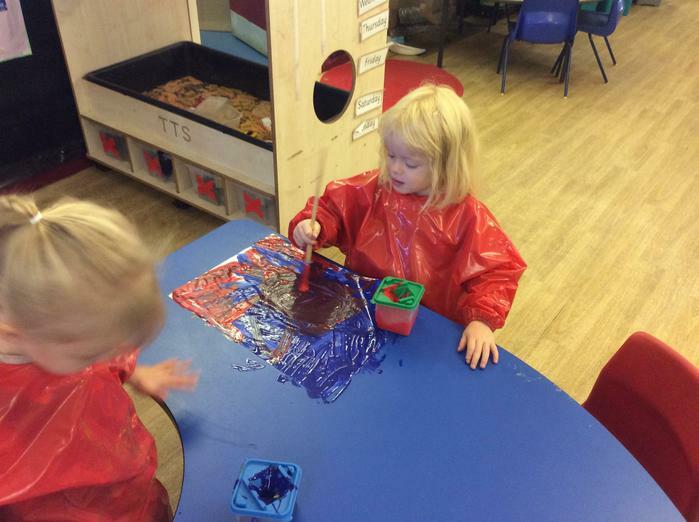 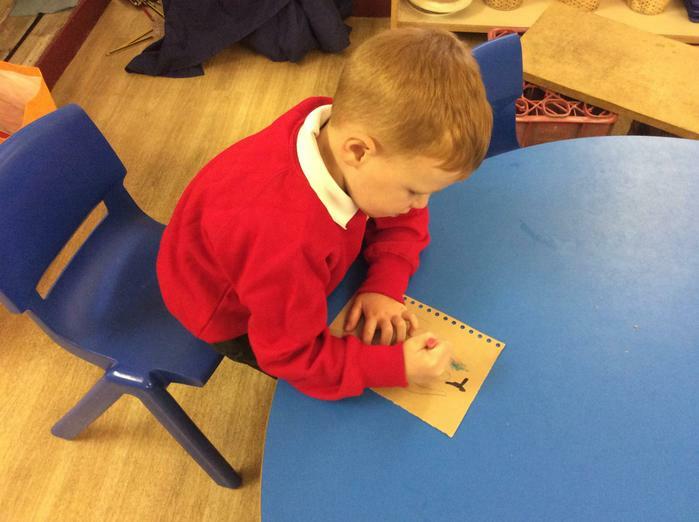 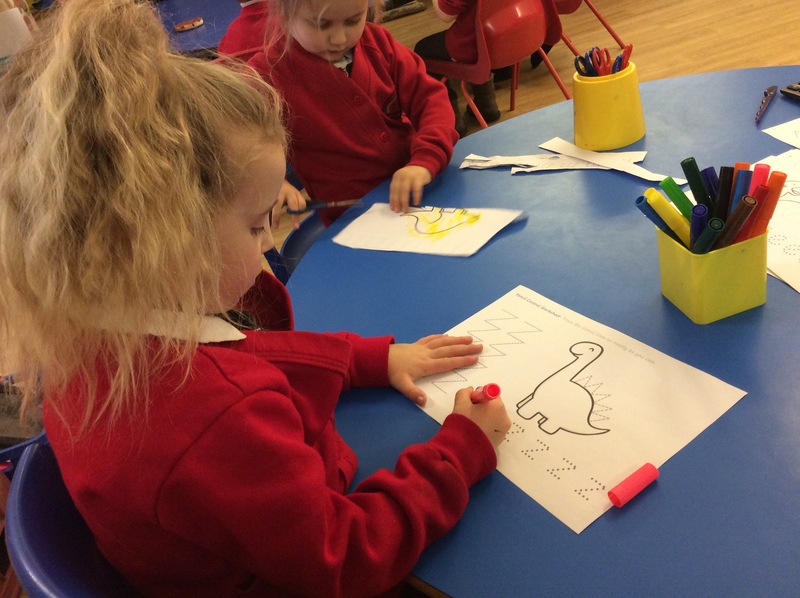 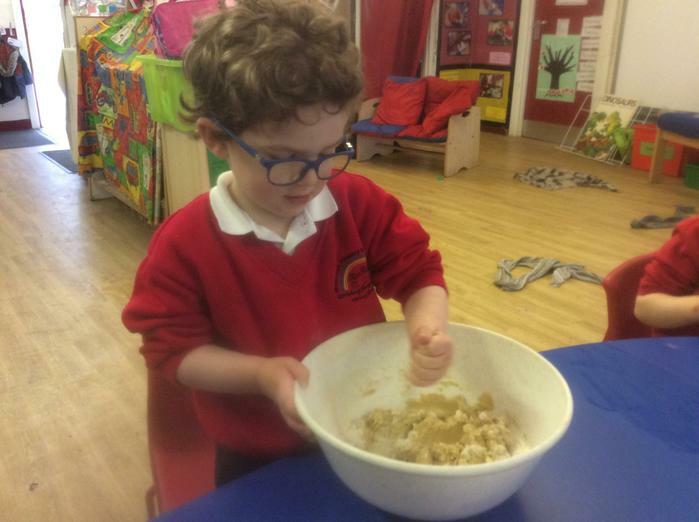 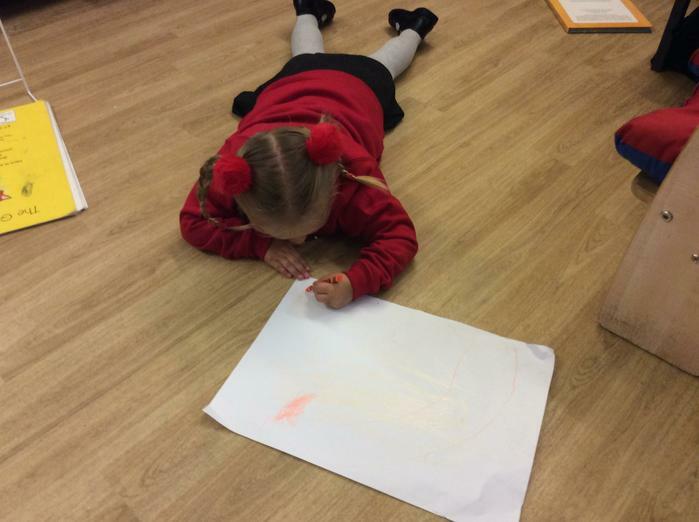 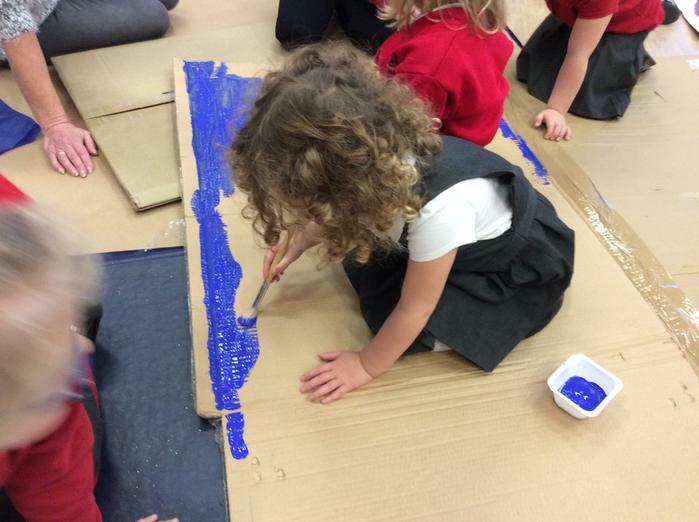 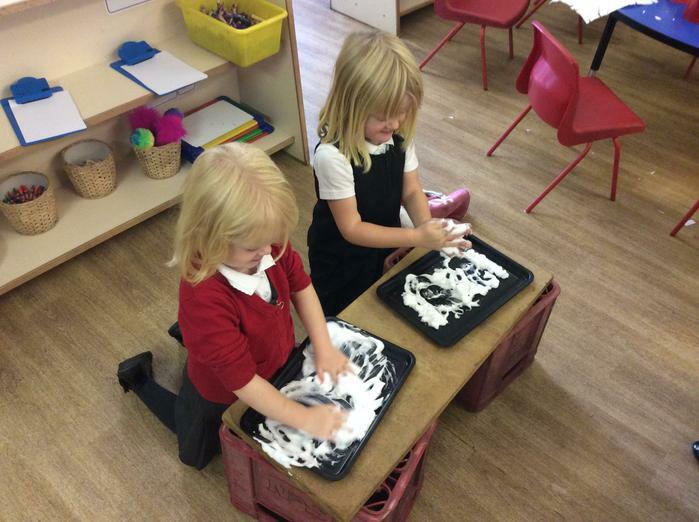 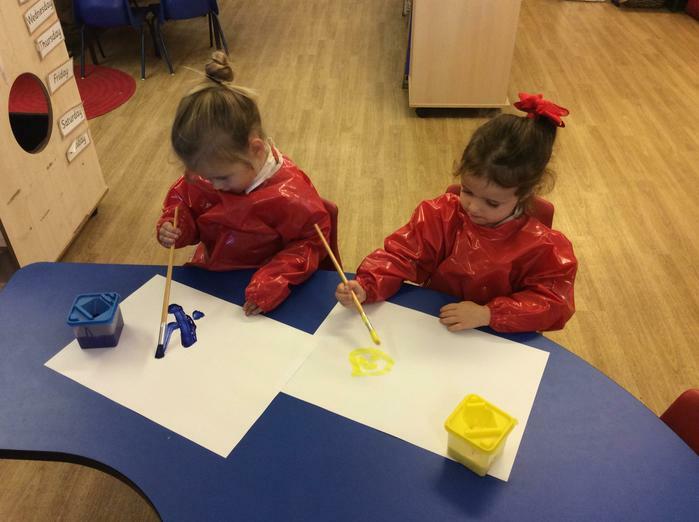 As well as enabling a child to write, making marks can benefit a child physically and also help develop their imagination and creative skills. 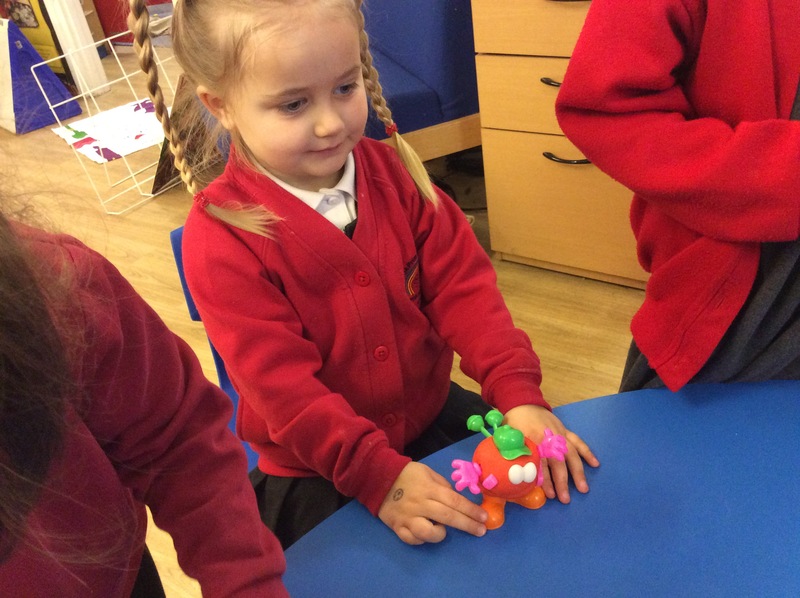 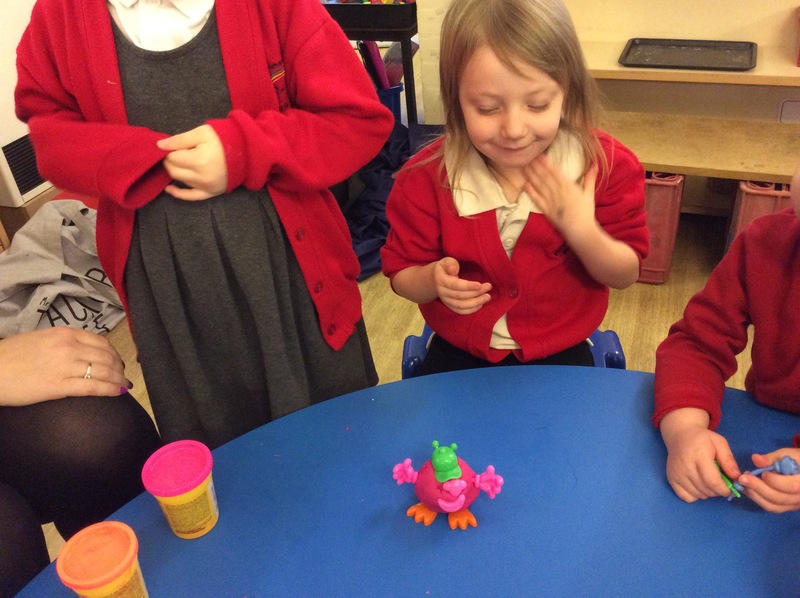 Finger gym activities boost communication and language and builds a foundation for handwriting. 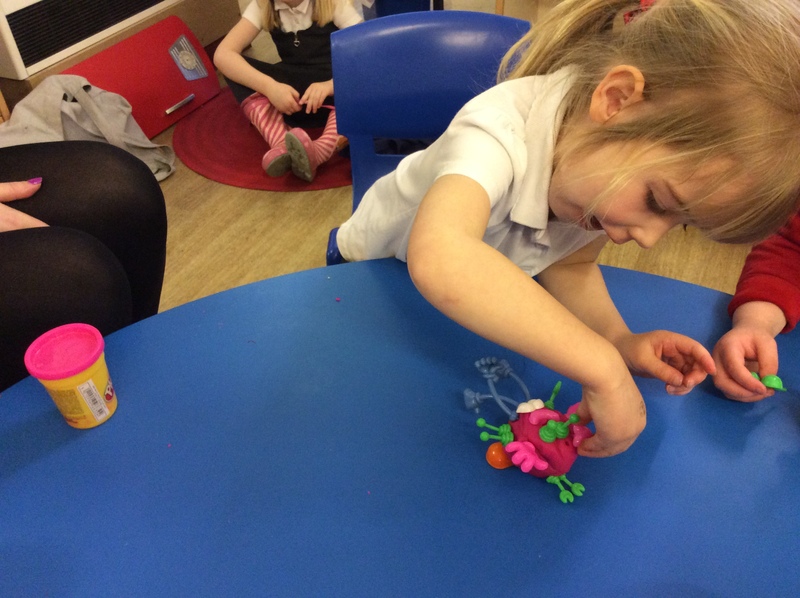 It improves hand eye coordination and enriches vocabulary. 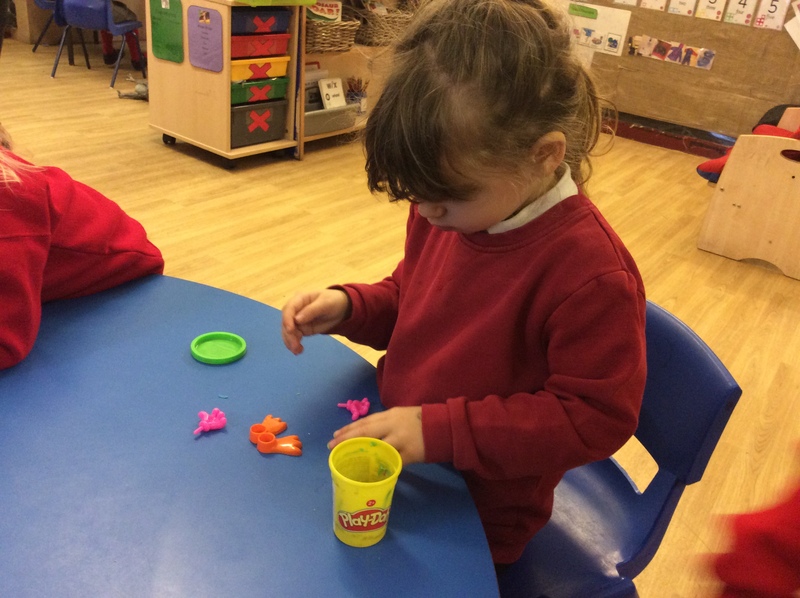 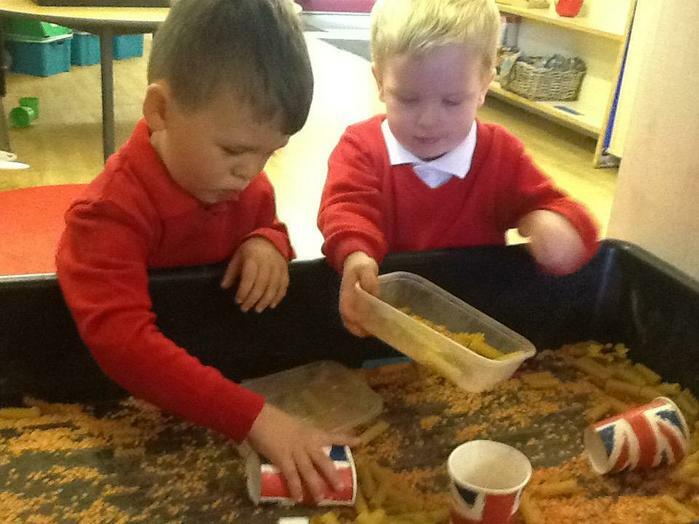 The children are enjoying lunchtime, they sit at the table and eat their lunch. 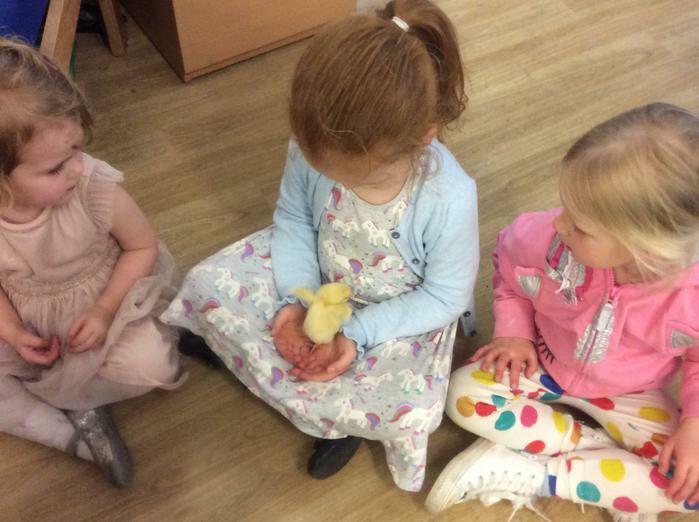 They use their manners and the children are able to interact socially with each other during this time.